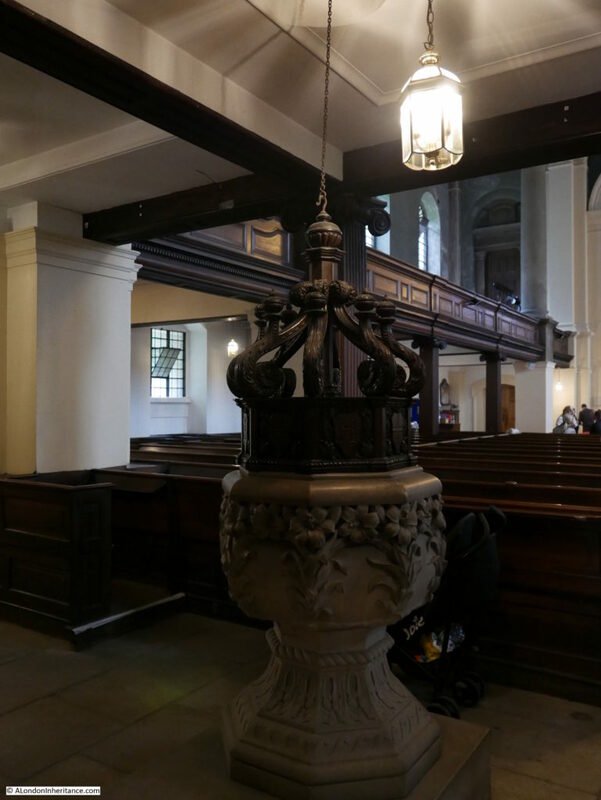 Finally, somewhat later than planned, here is the last post on my Open House 2017 visits. 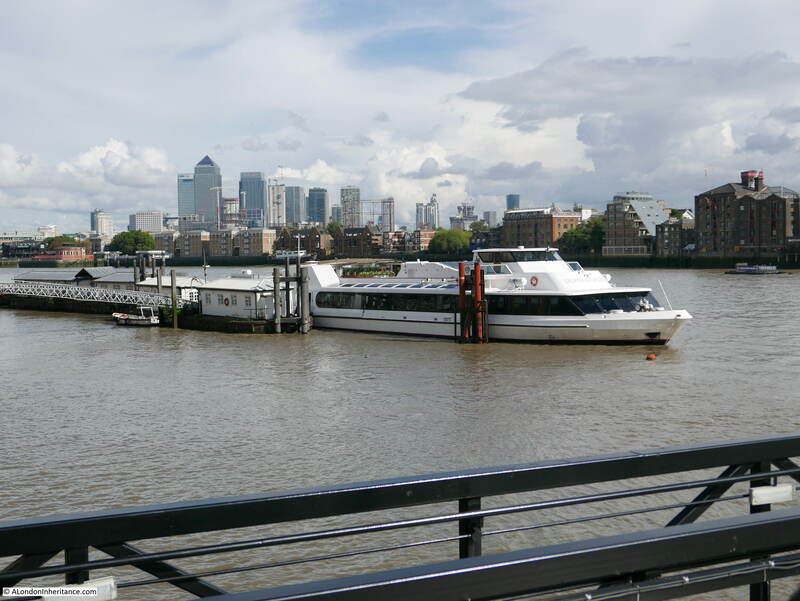 I had started in the Isle of Dogs and my final two locations were the Thames River Police Museum in Wapping and the Hermitage Moorings, a short distance further along the river towards St. Katherine Docks. The Thames River Police Museum is usually only open by appointment so Open House provided the opportunity to just turn up and see this fascinating museum in one of the old workshops in what is still a working Police Station. 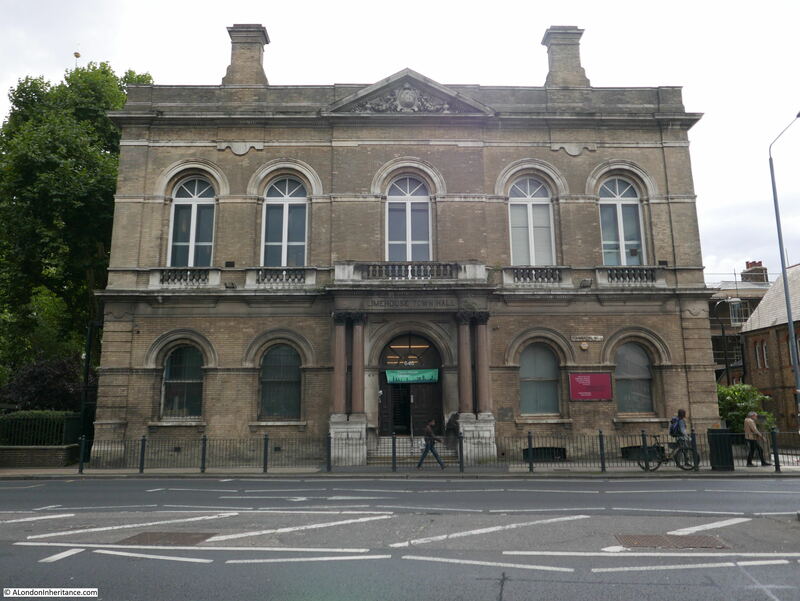 This is the front of the building on Wapping High Street. The museum is reached through the entrance on the left, through a small courtyard and up to the museum on the first floor of the part of the building facing the river. 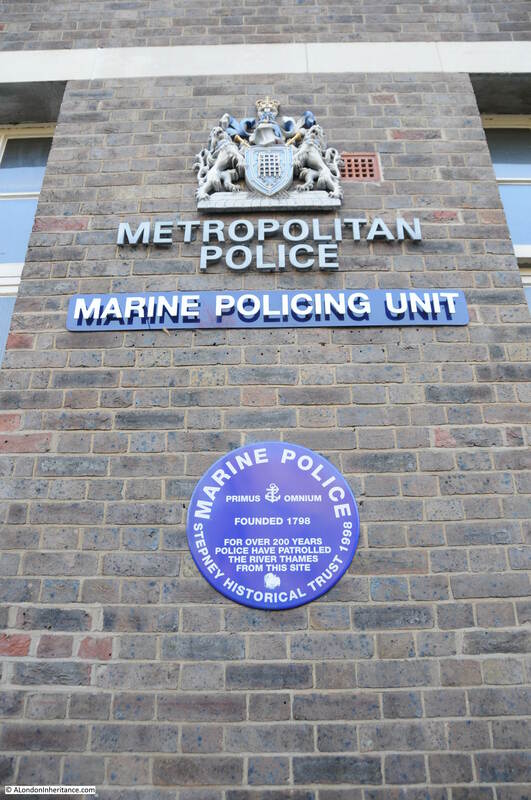 The Marine Policing Unit as it is now named, is one of, if not the earliest uniformed police force in the world. 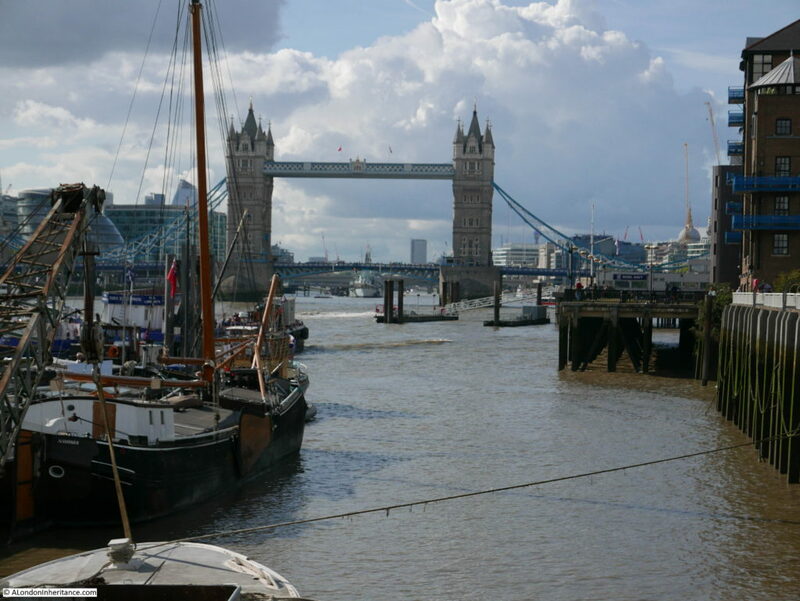 The Port of London was growing rapidly around Wapping in the last decades of the 18th century. 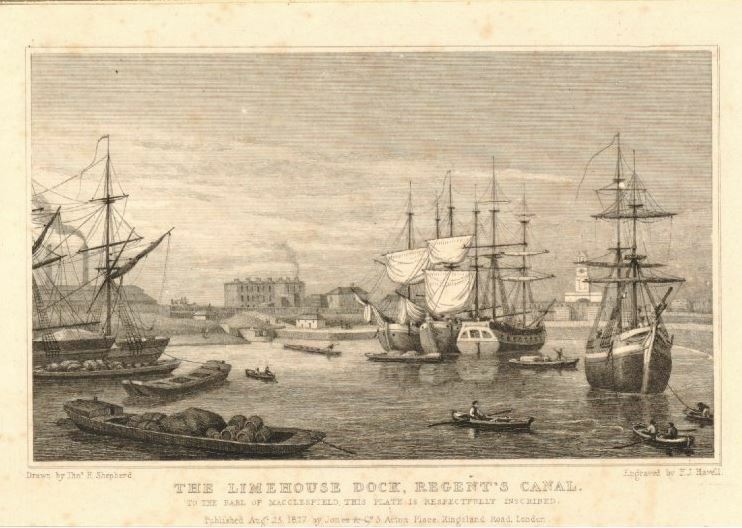 There would be hundreds of different ships moored on the river, along the wharfs and warehouses facing the river and in the docks. The cargo stored in these shops and warehouses provided a ready source of income for those willing to steal or pilfer from these cargoes. 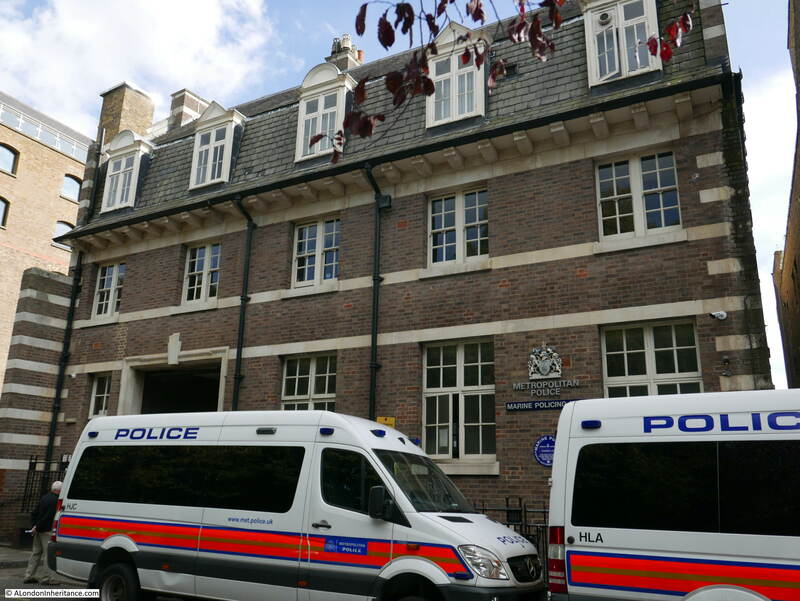 The problem was getting so bad that in the 1790s a uniformed police force was organised, approved by the government and funded by the various merchant companies that operated along the river. The river police force was based at the location that remains their headquarters to this day. 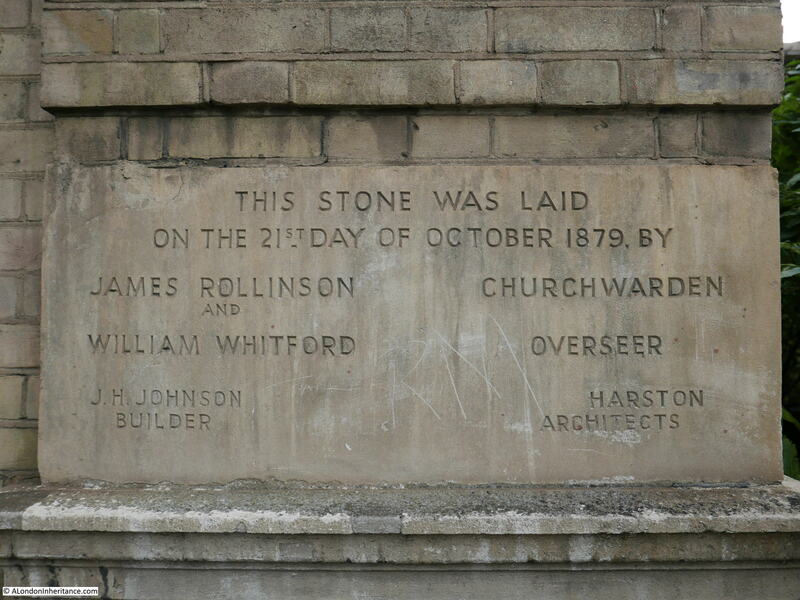 The first patrol of the river set out from this location in 1798. In my father’s collection of photos, there are some of 1950’s era police river launches moored by Waterloo Bridge so I plan to write more about the history of the river police when I cover these photos in the coming months, so in the photos below is a brief view of what is a fascinating museum. The museum is housed in a long, single room, at the end of which is a door facing onto the river. The museum is a bit overwhelming at first sight as there is so much to look at. 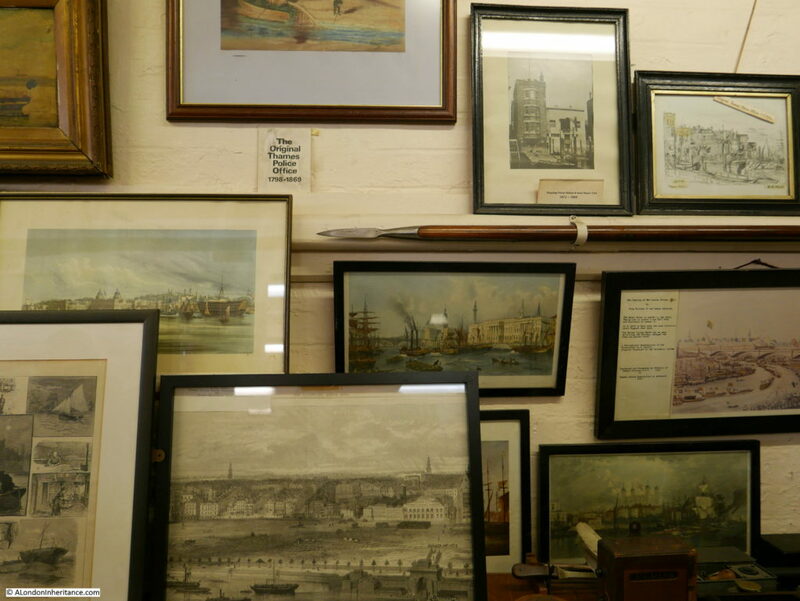 A couple of long display cases run part of the length of the room full with models, books, record books, old equipment used by the river police and much more. 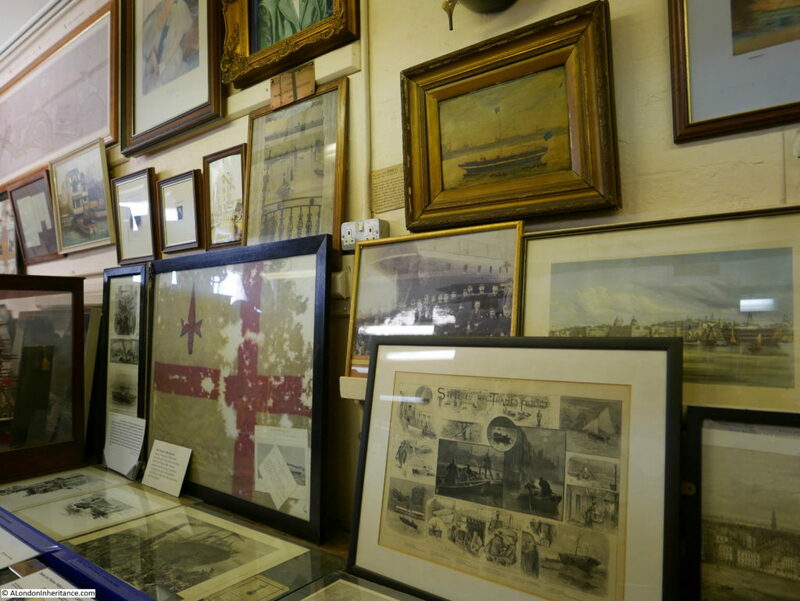 The walls are covered in drawings, paintings, photographs, maps and flags that tell the story of some of the significant events over the past two hundred years, and how the river police have evolved. 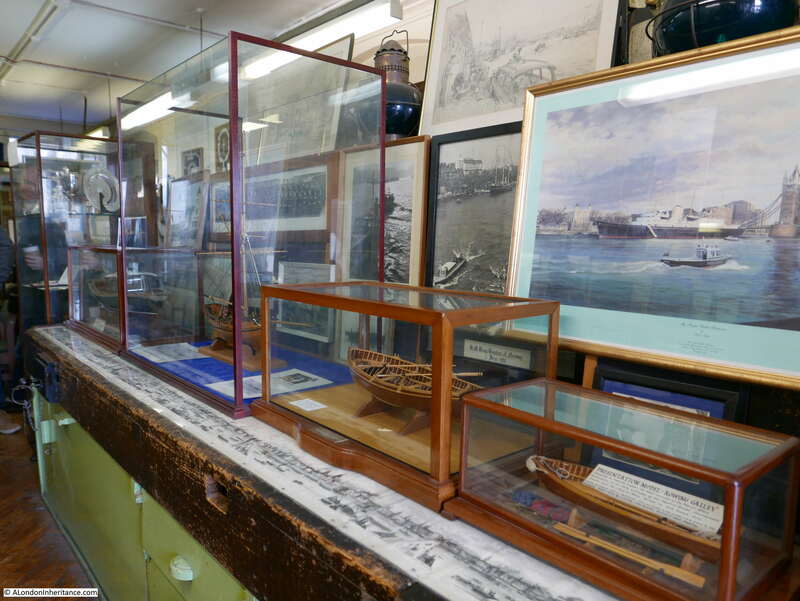 Display cabinets show some of the craft used by the river police. 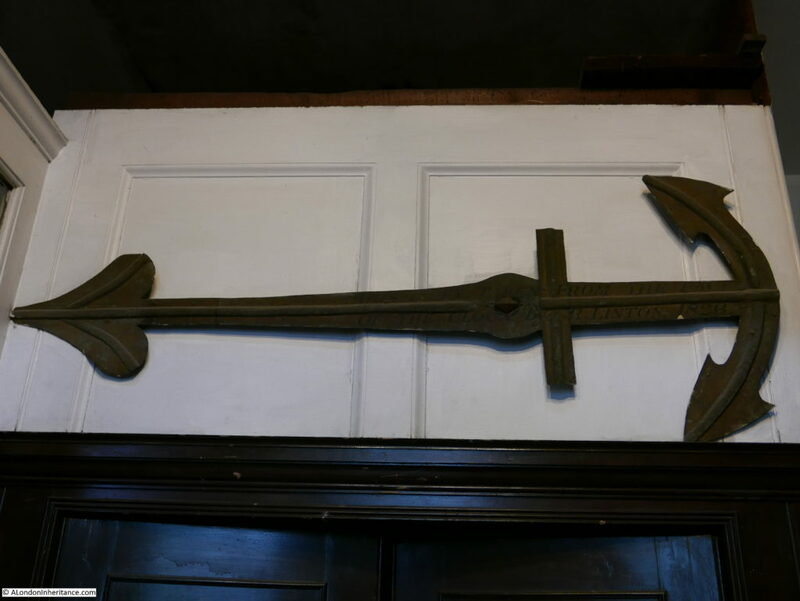 The original river patrols were made using rowing galleys, often with a crew of four comprising a Surveyor or Inspector and up to three Constables. View of one narrow walkway showing how much there is to see in the museum. At the end of the museum is a door facing onto the river which provides some unique views. 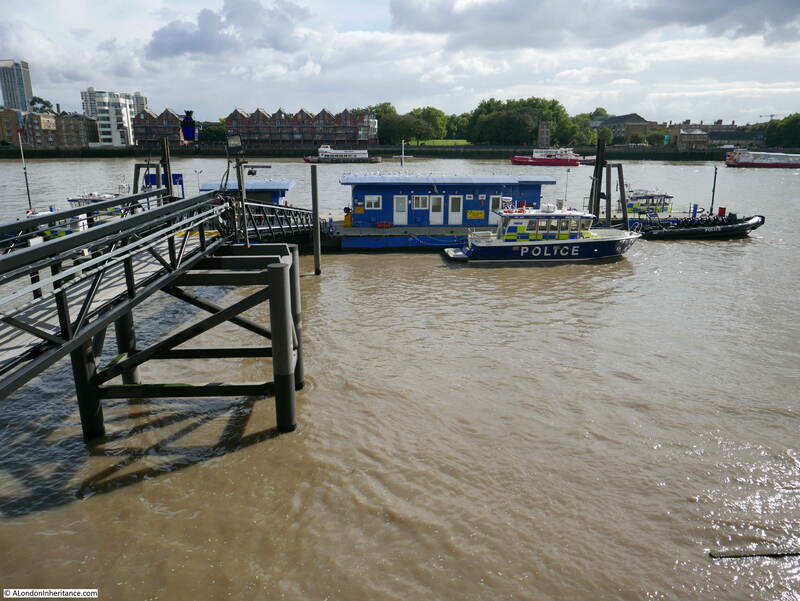 Being an operational police station, there is a walkway leading down to a pier where some of the police boats are moored. 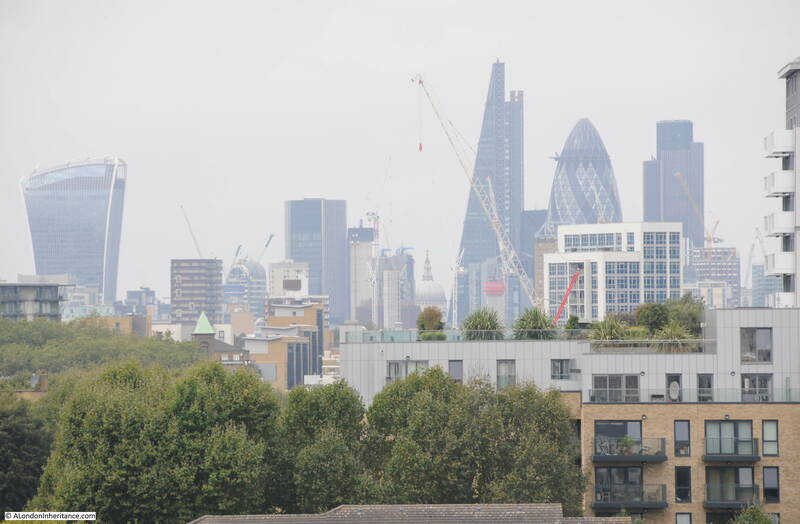 There is also a good view here across to Rotherhithe and down to the Isle of Dogs. 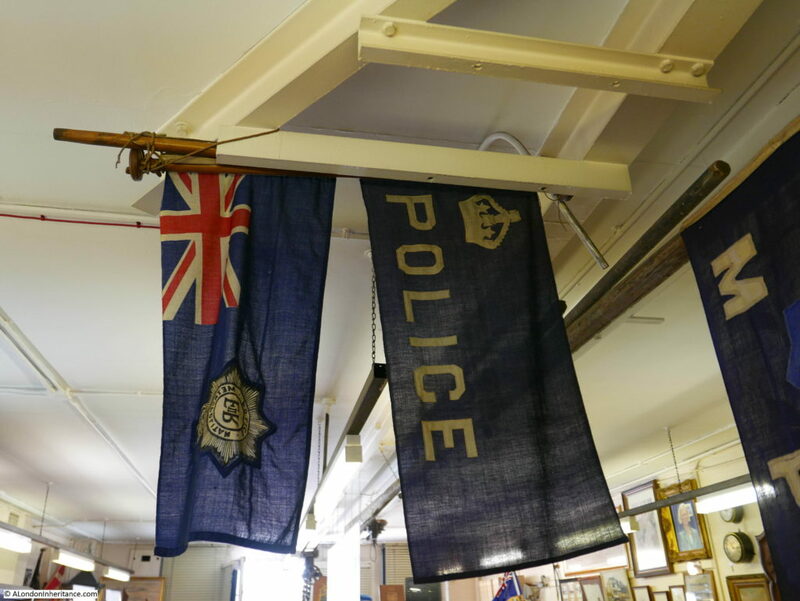 The museum provides a fascinating view of the history of the Thames River Police, there is much to view and read. 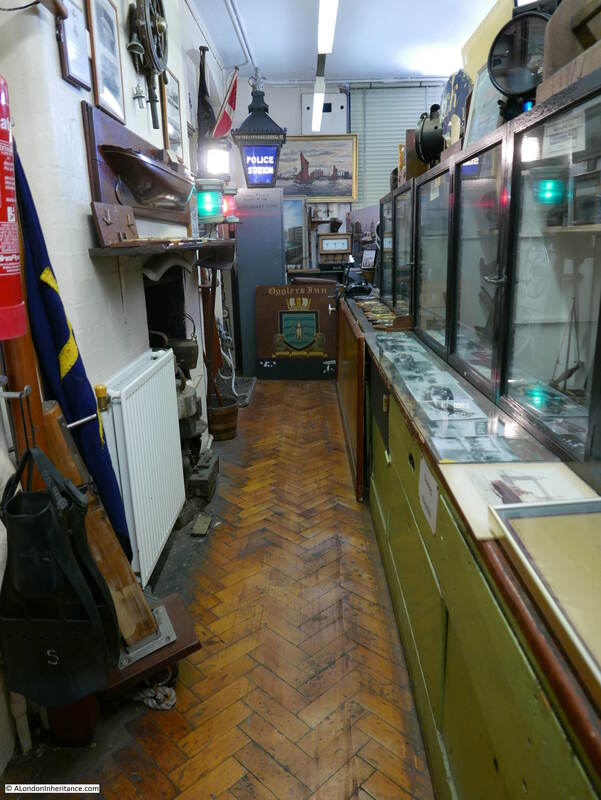 What makes this museum very special is that it is on the site where the original river police force was established and is within a building providing the same function to this day. Back outside in the courtyard between the museum and the street there is a reminder that this is still a working river police station. In comparison with the other sites I visited during Open House, the Hermitage Moorings are very recent. The submission for planning permission was in 2004 and the Hermitage Moorings were constructed a few years later. 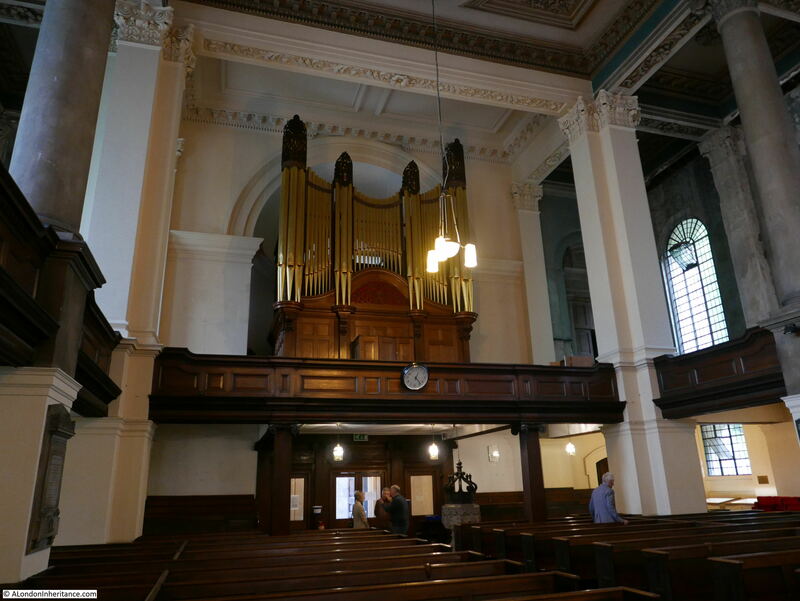 Despite being very recent, they are one of those many places around London that have a name that maintains a link with the location as it was many years ago. 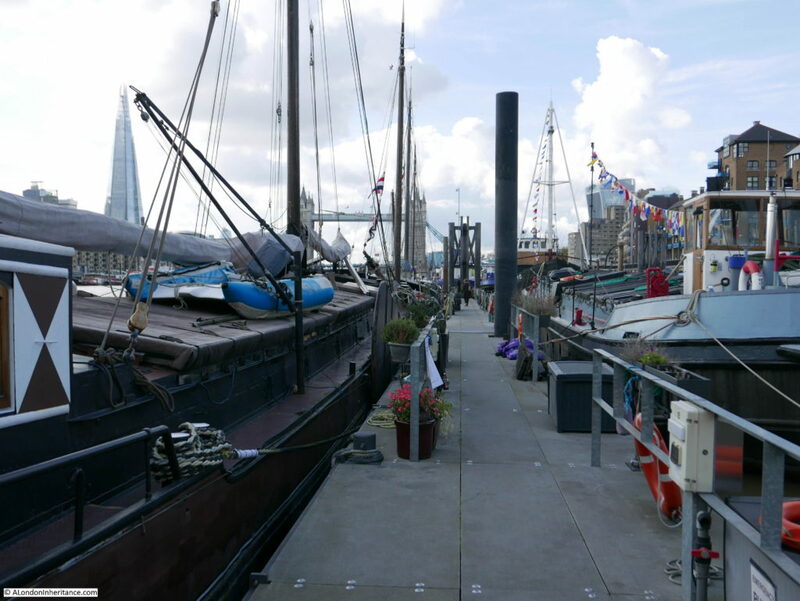 The Hermitage Moorings can be found at the western end of Wapping High Street, just before the junction with St. Katherine’s Way. 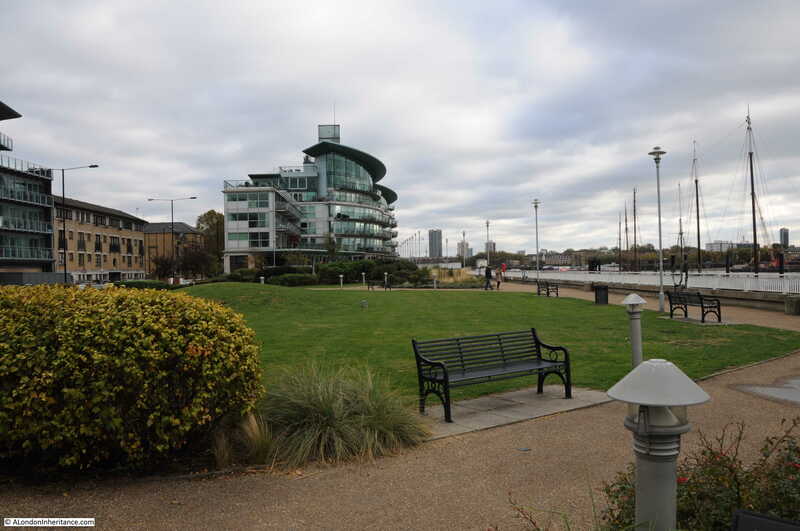 The Hermitage Riverside Memorial Gardens run between Wapping High Street and the river, and at the eastern end of the gardens is the entrance to Hermitage Moorings. 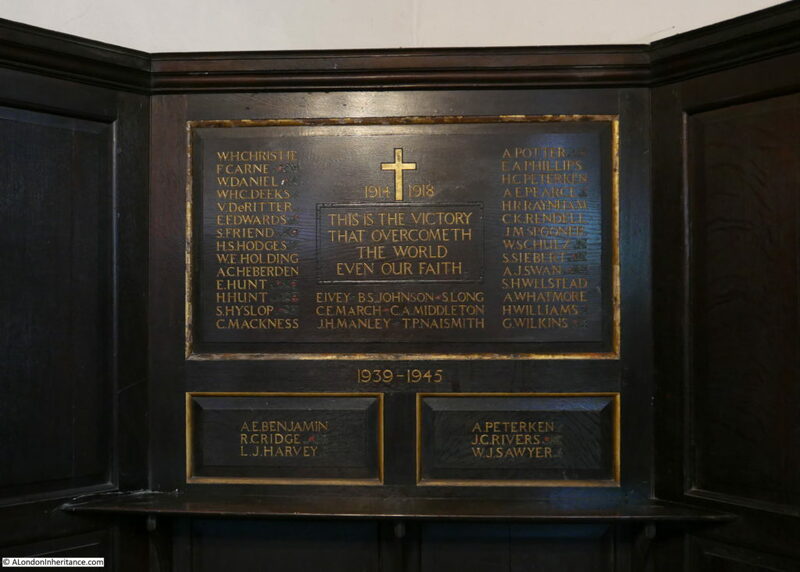 Before taking a walk around the moorings, some history of the area and the name. 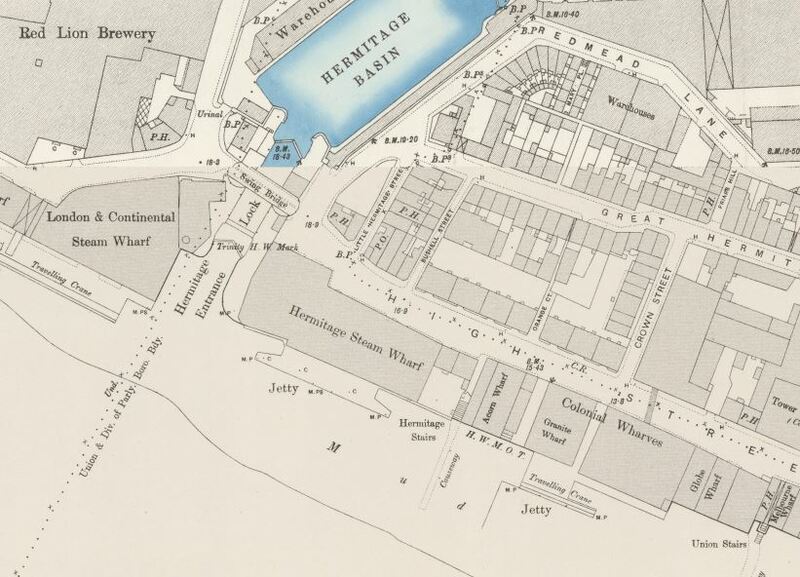 In the extract from the 1896 Ordnance Survey map below, in the centre of the river’s edge is the Hermitage Steam Wharf. 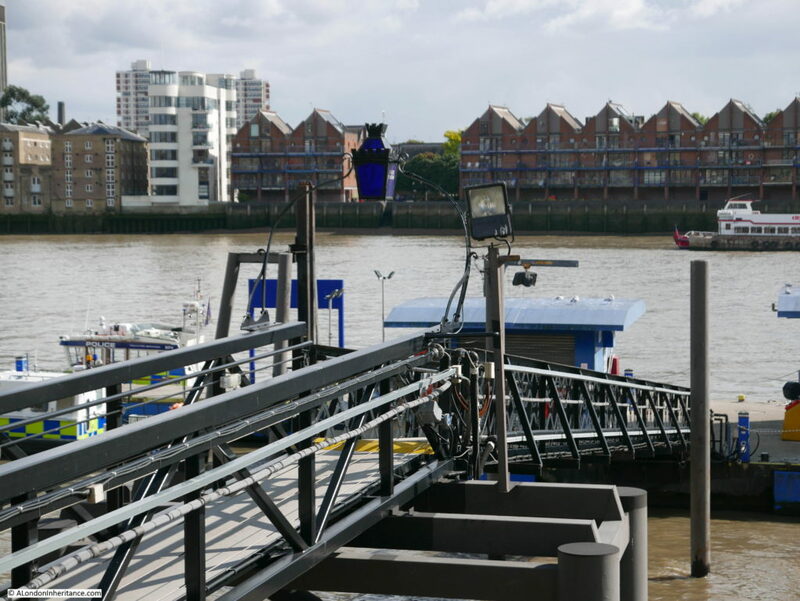 Just to the right of this wharf are Hermitage Stairs running down to a causeway into the river. 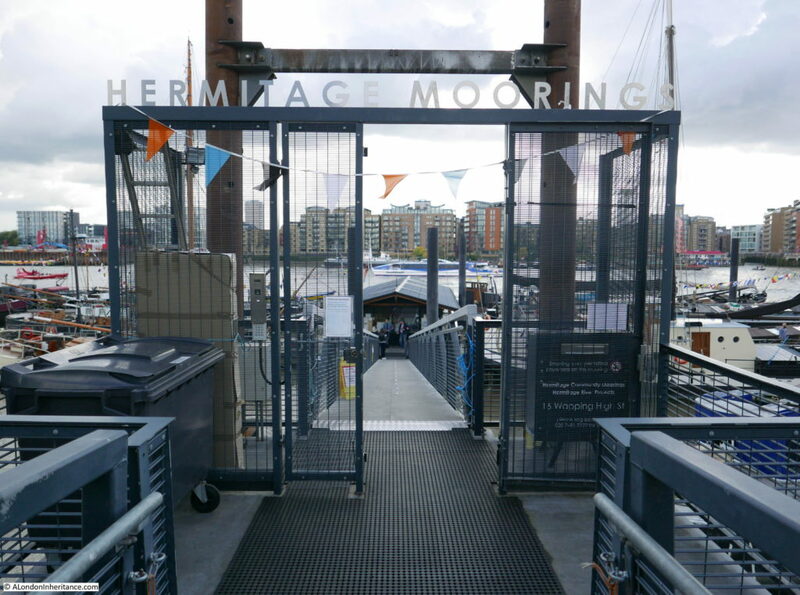 It is here that the entrance to the Hermitage Moorings is located. 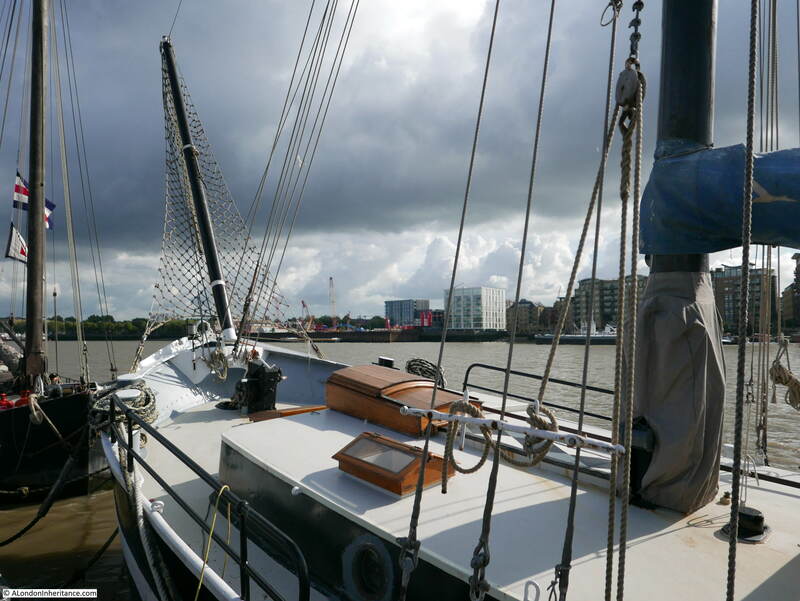 As can be seen from the map, the name Hermitage is used for a number of features – the stairs, the wharf and the basin. Nightingale Lane is the street running down from the top of the map to the left of Hermitage Basin down to the junction with Wapping High Street, so Hermitage Brewhouse may have been the earlier name of the brewery prior to Red Lion and it may have been named after a hermit. Very tenuous but good to imagine that the new moorings are named after a hermit that lived close by. 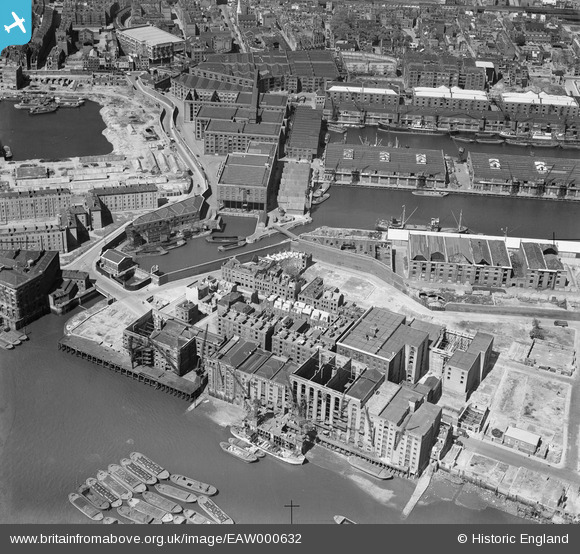 The photo below from the Britain from Above website shows the area in 1946. 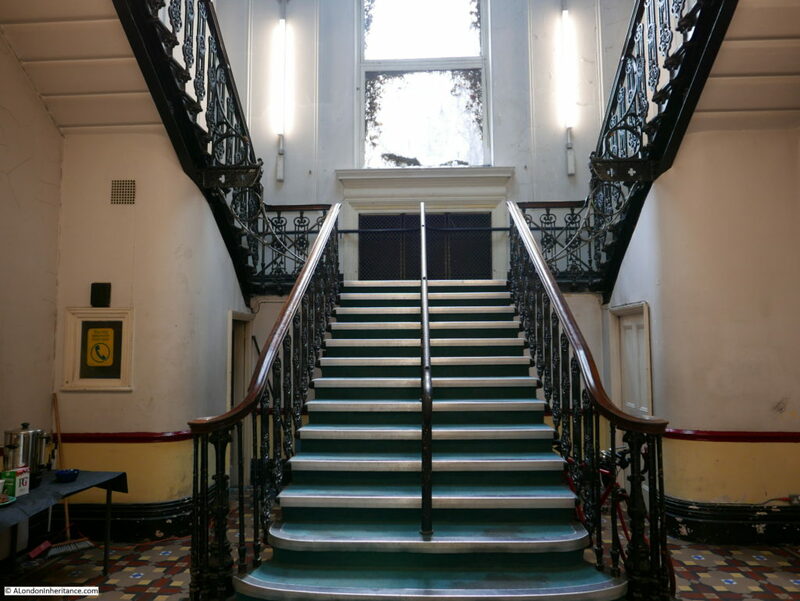 At the bottom right of the photo you can see some stairs and a causeway leading down into the river – this is the Union Stairs. Move along the water front to the left, pass the cranes and you will come to another causeway leading down into the river – this is the Hermitage Stairs. The area between the Hermitage Stairs, the road behind and the river entrance to the basin is now the Hermitage Riverside Memorial Gardens. The view across the gardens from the edge of the basin entrance looking across to where the entrance to the Hermitage Moorings is located in shown in the photo below. The gardens are a memorial to the East London civilians who lost their lives, or were injured during the Second World War. Time for a look at the moorings which were fully open during Open House weekend. 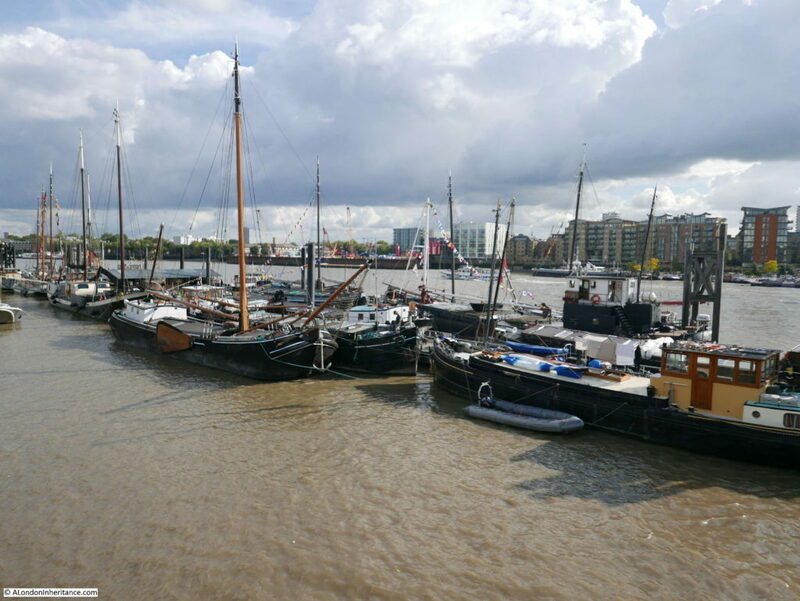 Hermitage Moorings were built, and are now owned and operated by Hermitage Community Moorings and they provide up to 23 berths for historic vessels with the owners living aboard. The moorings therefore form a community on the river rather than a place for distant owners to moor their boats. When planning permission was applied for, there was general support for establishing a community on the river, however there were also a number of objections which appear to have come from the occupiers of the new apartments that had recently been built along the river. 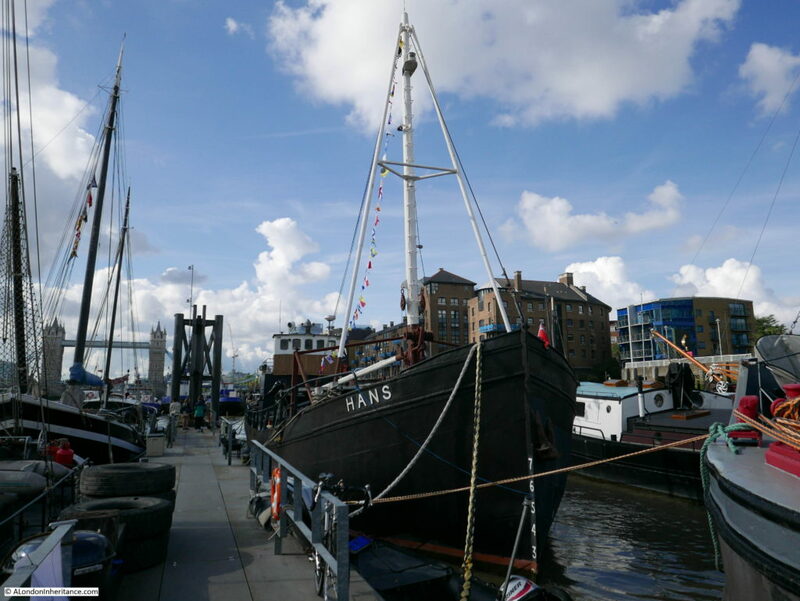 Objections included that the moorings would be ‘blots on the landscape’ and ‘floating gypsy camps’ and that ‘rusting wrecks’ will be moored alongside the flats and the park. 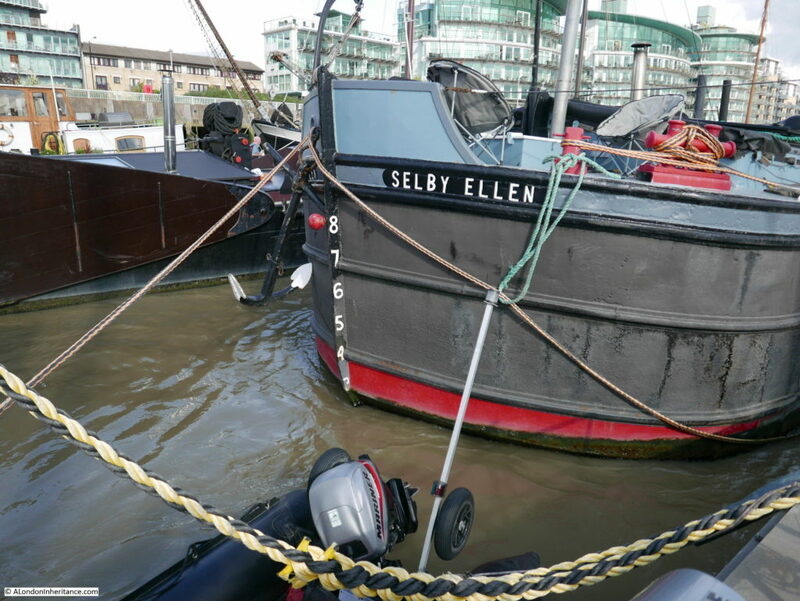 The historic boats are very far from being rusting wrecks. The view looking downstream from the entrance to the moorings. The view upstream towards Tower Bridge and the City. 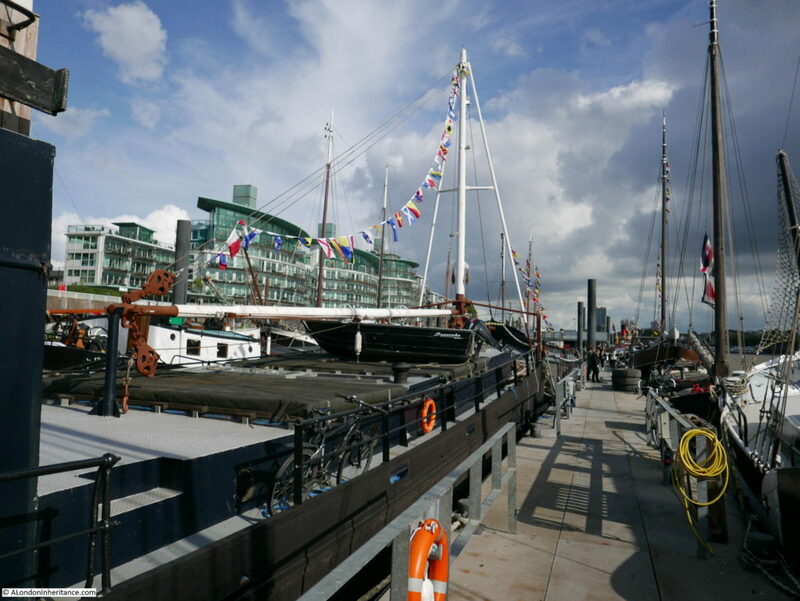 There are two main pontoons extending either side from the centre of the moorings. 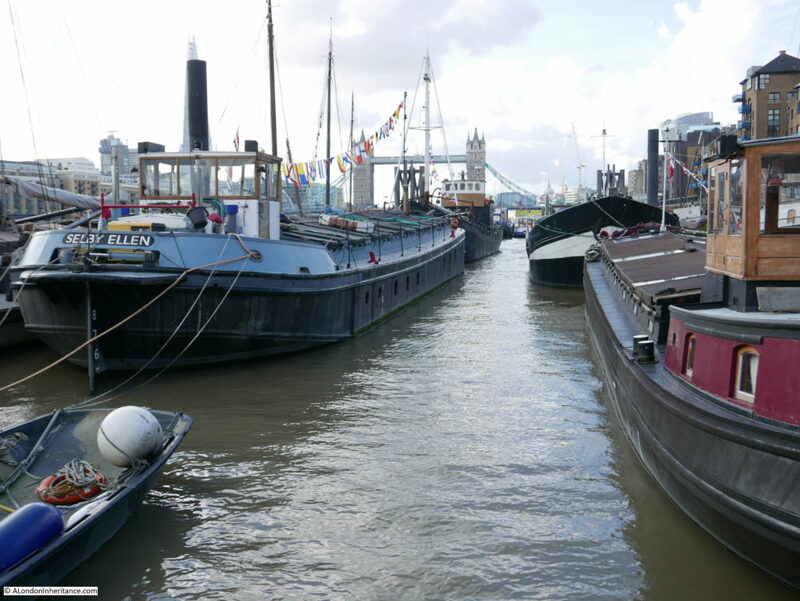 All lined with a range of very well maintained historic boats. The majority with owners currently living aboard. Some of the boats have potted gardens running along the edge of the pontoon. Talking to some of the owners, there was a real pride in their boats, a very obvious community of people living on the river, and great pleasure in being able to live in such a way and location. 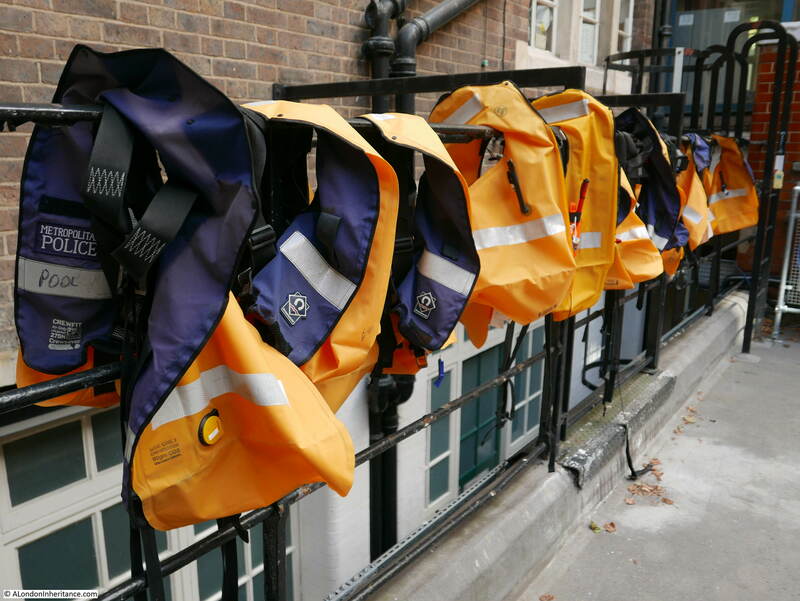 The boats are all extremely well maintained. many are Dutch, all have seen a working life of many decades and now rest at this wonderful location. One of the differences between being on the river and walking the streets of the city is that from the river the wide sweep of the sky is visible and there is a connection between the river and weather which played such an important part in the lives of those who worked on the river for so many hundreds of years. Despite the boats and owners living here at Hermitage Moorings, the boats are still in working order and able to make their way along the river. 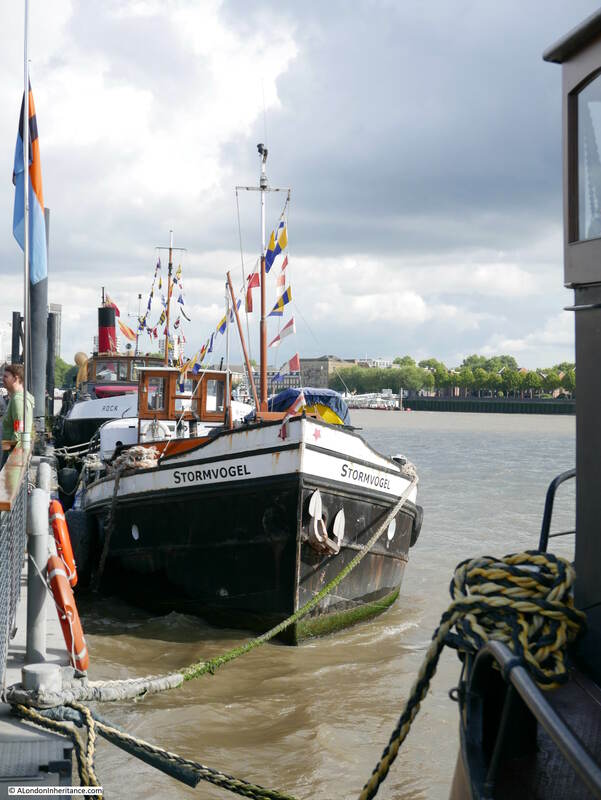 To have a mooring, the owner also needs a Day Skipper qualification as a minimum so the moorings are not simply providing a living place with a superb view – they are for those with the time and money to invest in maintaining a historic boat in working order and with the skill and qualifications to pilot those boats on the river. 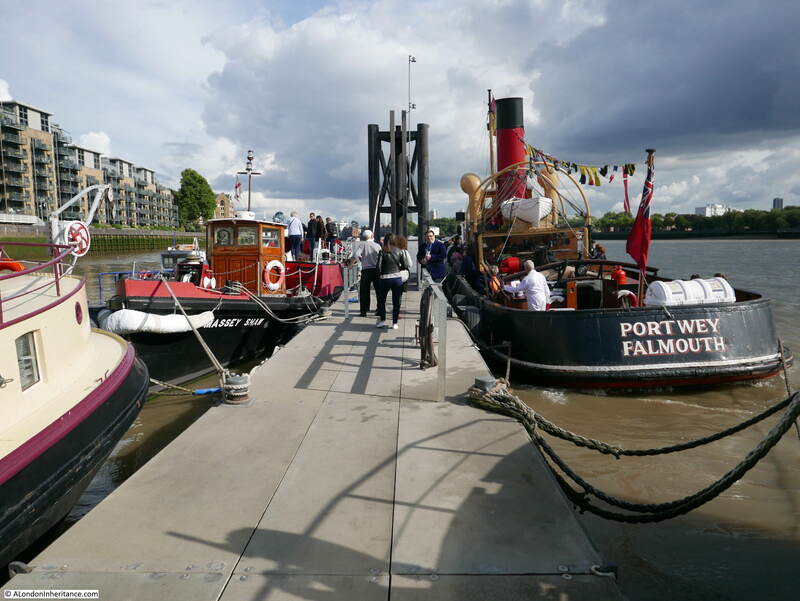 For Open House, there were also a couple of historic visitors to the Hermitage Moorings, including the Massey Shaw fireboat on the left. There is a good view of the Hermitage Moorings from the riverside park and walkway along the river, however Open House provided the opportunity to walk among the boats and talk to the owners. 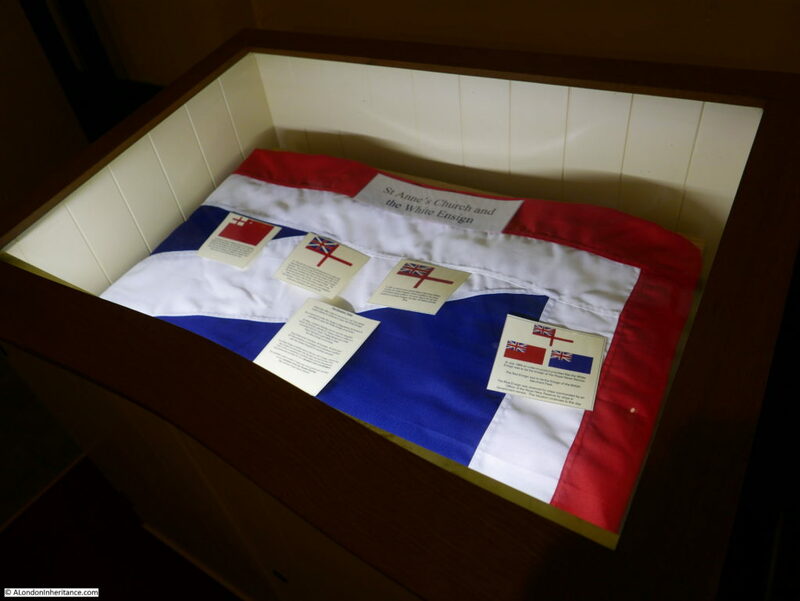 It was a fascinating day that demonstrated the sheer variety of sites open during Open House. 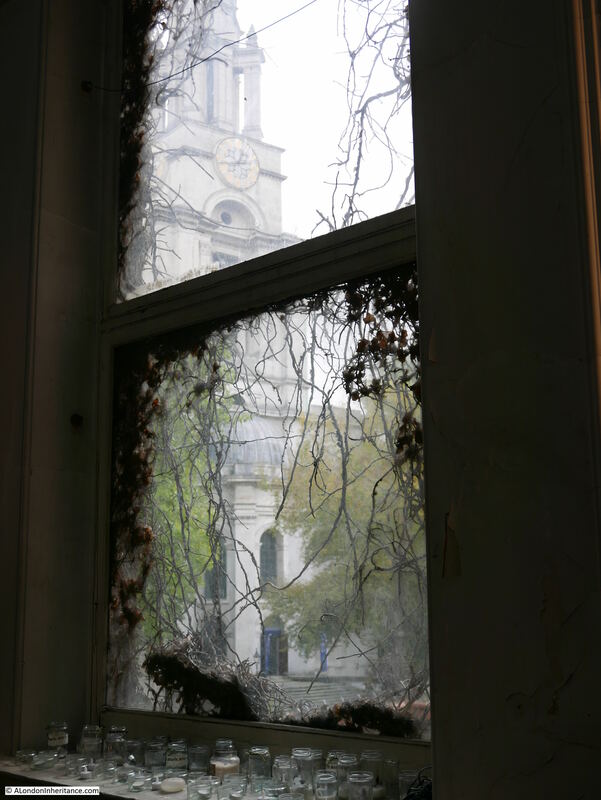 From the pumping station on the Isle of Dogs, the Church and Town Hall at Limehouse, a museum in a working police station on the same location as where the river police force was formed, and river moorings from the last decade. Hopefully, with some planning, I will get the whole weekend free for Open House 2018. This entry was posted in The Thames and tagged Hermitage Moorings, Open House, River Thames, Thames River Police on October 6, 2017 by admin. 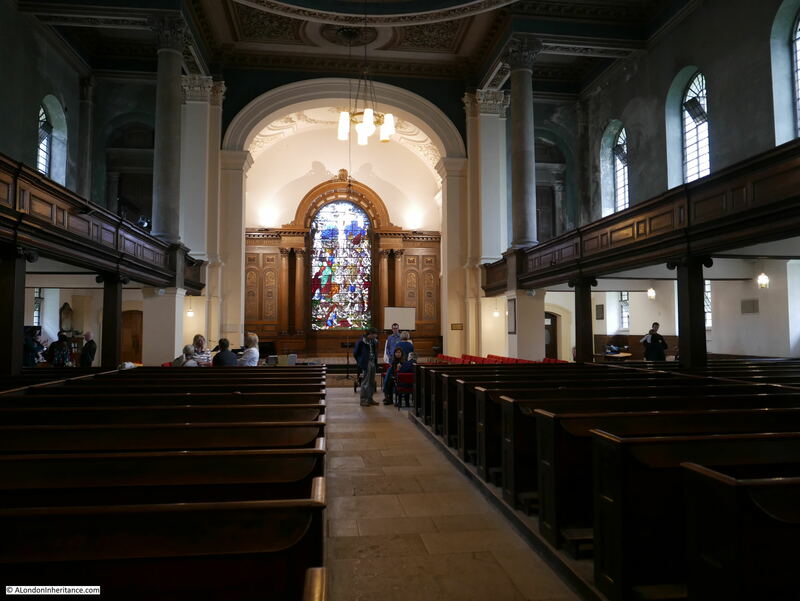 Last weekend was the brilliant Open House weekend when what seemed like hundreds of buildings around London opened their doors. 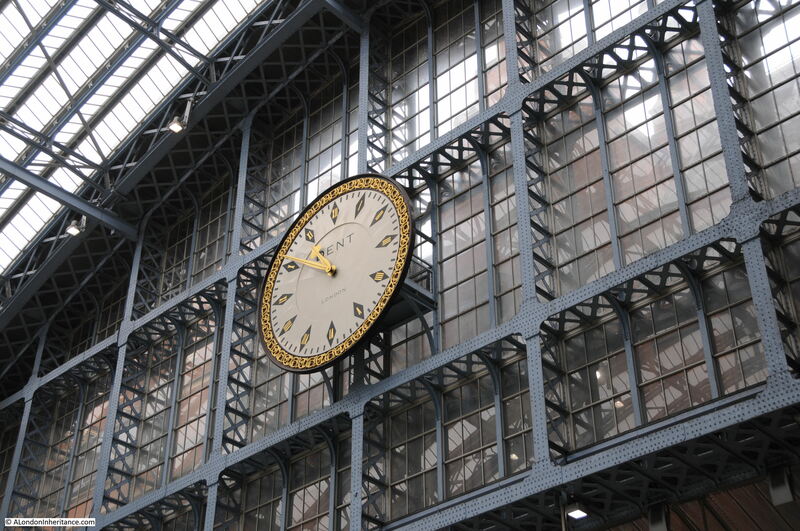 I had very limited time over the weekend, just a few hours on Sunday so only time to visit two locations, but ones I have wanted to see for a long time, so for this week’s post a quick visit to the Chrisp Street Market Clock Tower and St. Pancras Chambers. 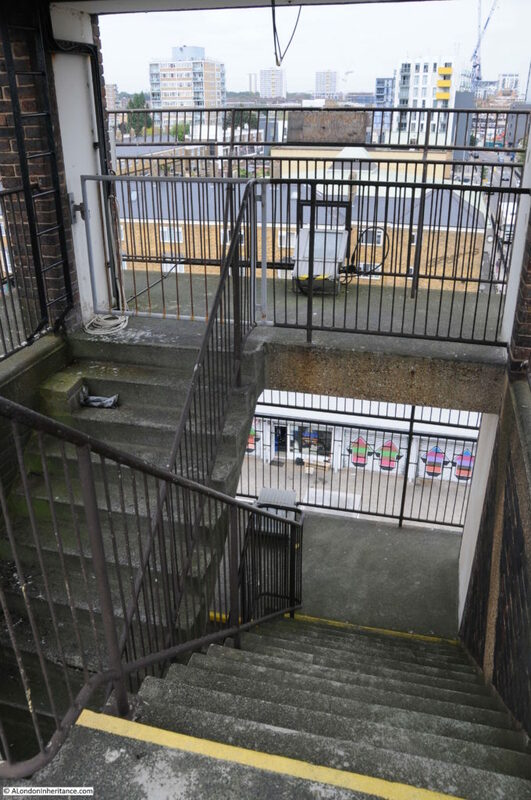 Chrisp Street Market was part of the Lansbury Estate development in Poplar and featured in the Festival of Britain Exhibition of Architecture. I covered this in a post back in July when I went for a walk around the estate with a copy of the original Exhibition Guide. The Clock Tower at the corner of the market was built as part of the Lansbury development to serve a number of purposes. 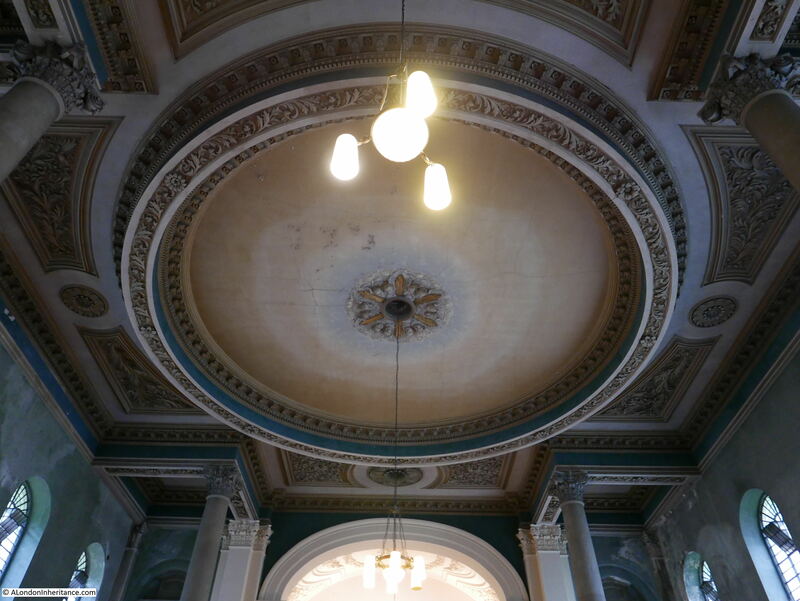 It would provide a feature for the market area, a viewing gallery over the new estate, and provide a landmark at the far end of Grundy Street with the new church at the opposite end. The viewing platform on the Clock Tower was closed many years ago and now there is only occasional access, one of which was during this years Open House event. 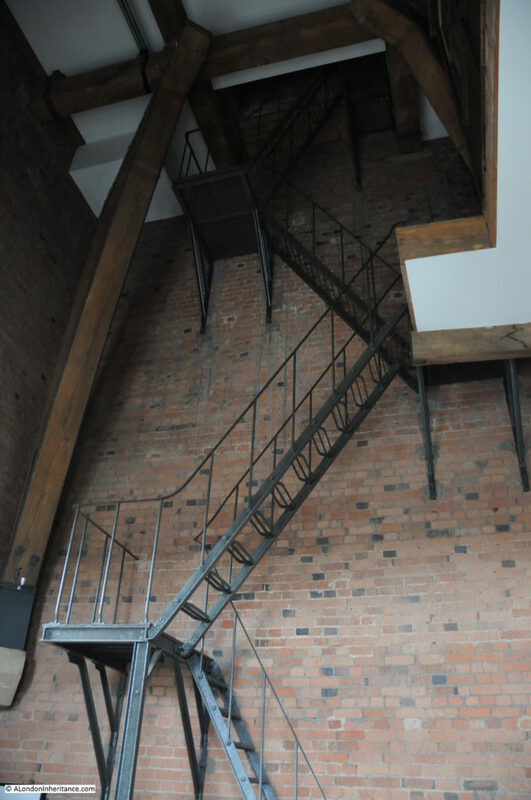 Access to the viewing platform is via one side of a pair of interlocking reinforced concrete staircases. This design was to ensure that walking up was via one staircase and down was via the other so walking up you would not meet people coming down on the same staircase. 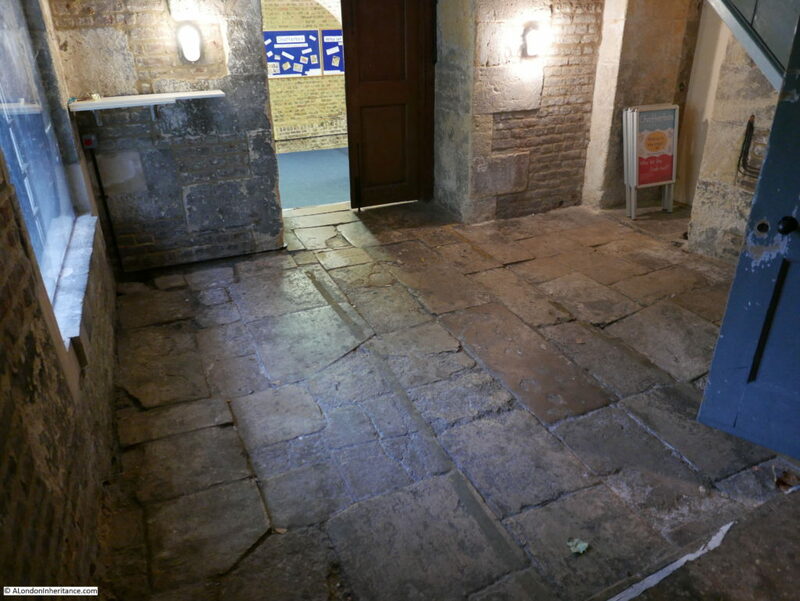 At the top of the Clock Tower, showing the two entrances to the staircases – only one was in use today. 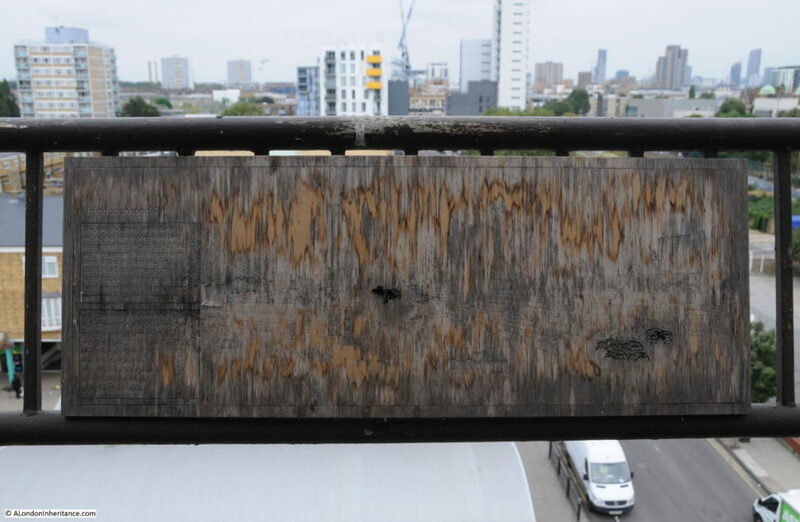 At the top of the tower there is a fading wooden plaque. This is probably not as old as it looks. I believe this is from about 2014, although it looks much older and based on the text it is probably from the Chrisp Street on Air Project. 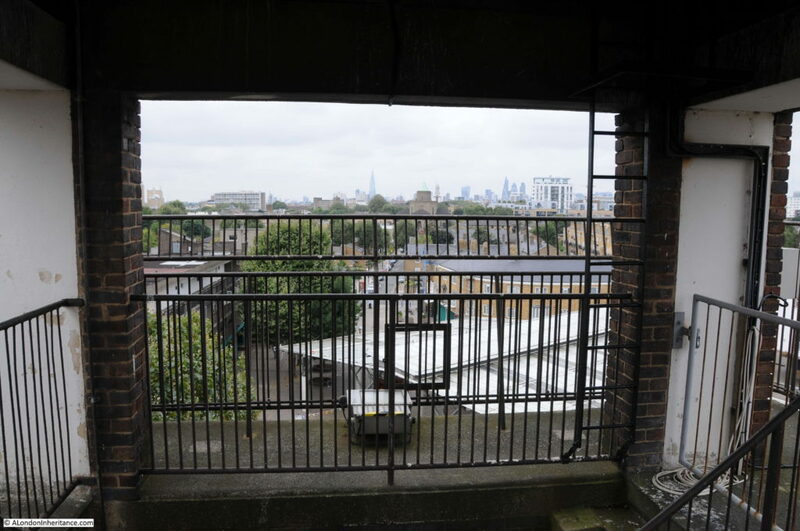 The nine locations of the field recordings series observing the Lansbury Estate and the people that live and work around Chrisp Street Market. Each broadcast centred on a single location uncovering the daily workings of each site and posing questions for its possible future. Neighbourhood 9 refers to the Lansbury Estate being the ninth development neighbourhood in Poplar after the last war. 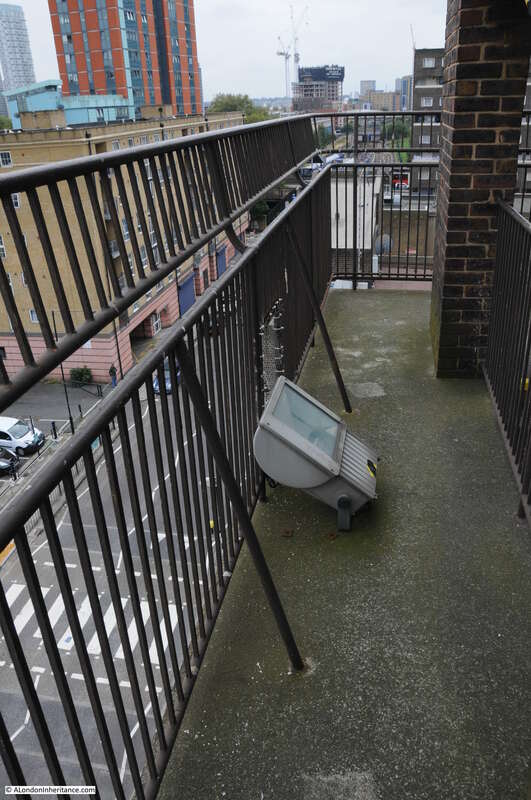 The nine locations are individual locations around the Lansbury Estate that each had their own recording made during the Chrisp Street on Air project and tell a story of the place in question with local people talking about their experiences and history of the area. These recordings are really worth a listen and can be found as podcasts on iTunes at this link or via Audioboom here. 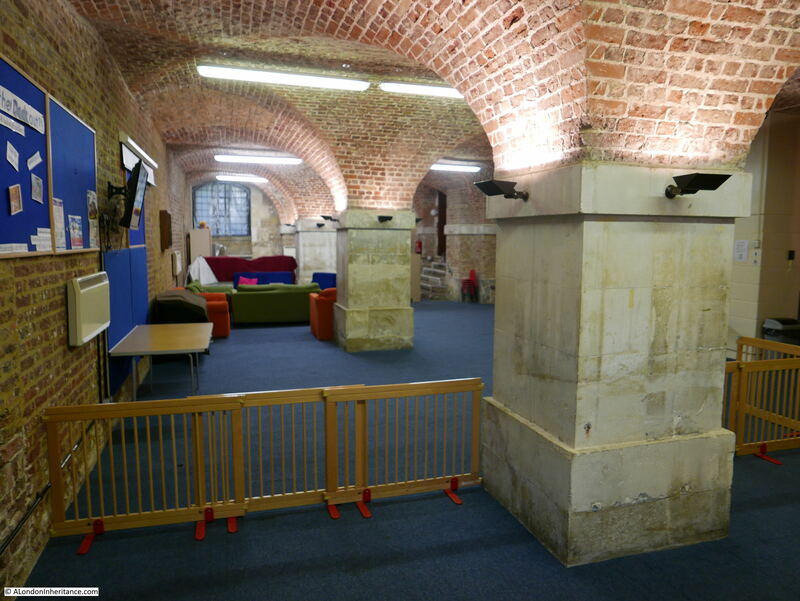 View along the viewing gallery. All Saints DLR station in the distance. 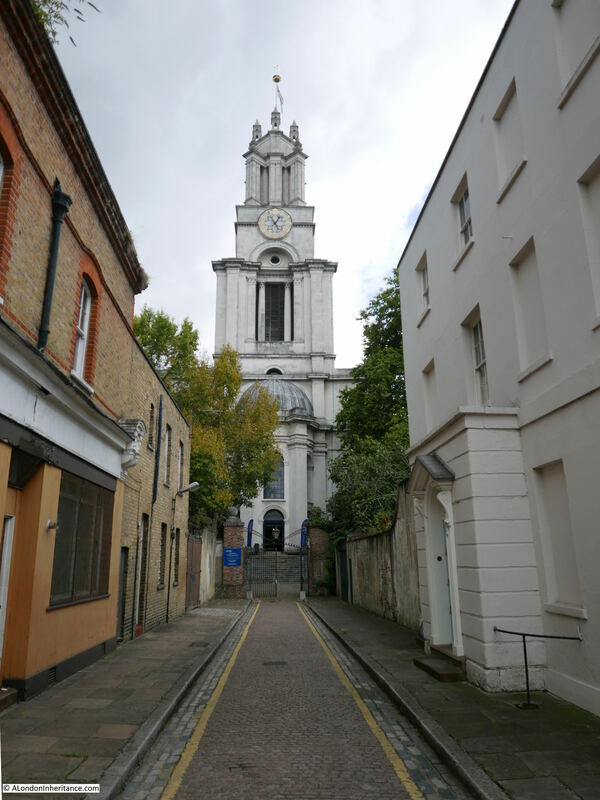 The Clock Tower was designed by Fredrick Gibberd and would have originally towered above the market, however later building between the market and the East India Dock Road has tended to overshadow the Clock Tower. It does though provide good views in a number of directions including this view looking towards the City. The Shard is in the centre of the view. 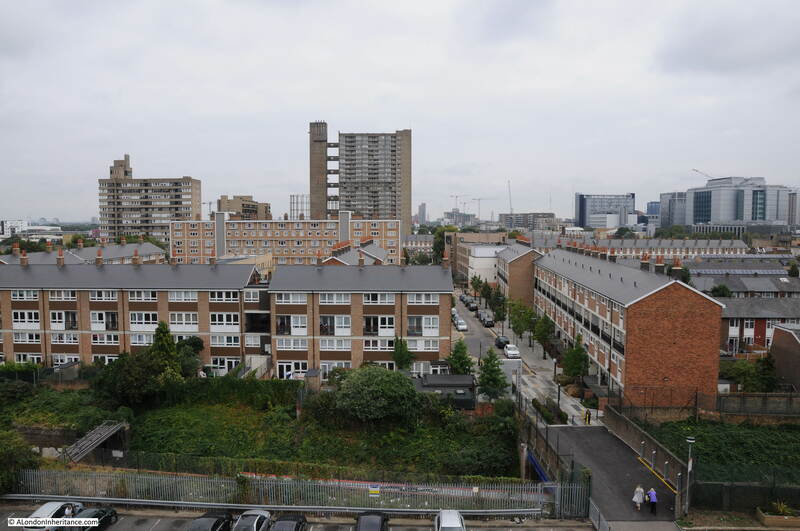 When built, this is the view that the visitor would have seen of the Lansbury Estate. 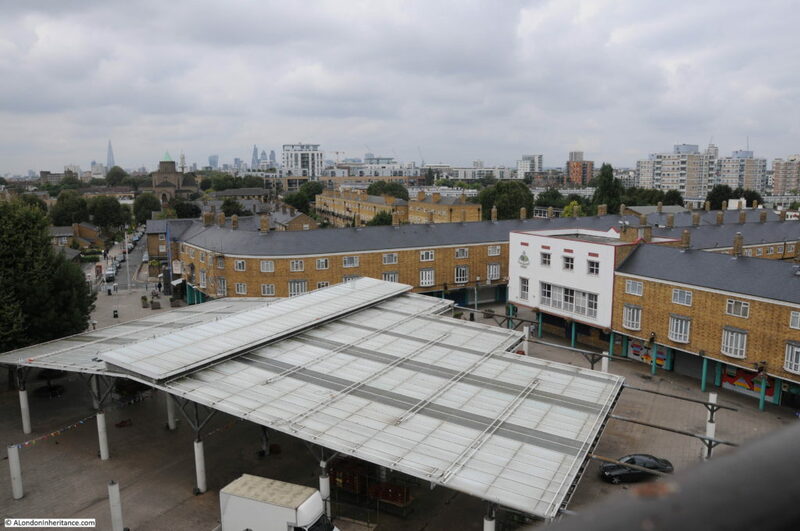 The Chrisp Street market with the recent covered market area is in the lower half of the photo. The original buildings surround the market (again, see my post on the Lansbury Exhibition of Architecture for details of these buildings). To the left, Grundy Street can be seen running up to the church. Standing in the centre of Grundy Street gives an idea of the intention of the architects – the church and Clock Tower appear to anchor each end of the street. Religion at one end, shops, market traders and pubs at the other. Continuing the theme of my recent posts on views from above London, it was interesting to see that St. Paul’s Cathedral is just visible to the left of the Cheesegrater building from the top of the Clock Tower. View towards Stratford with part of the ArcelorMittal Orbit just visible in the centre of the horizon. 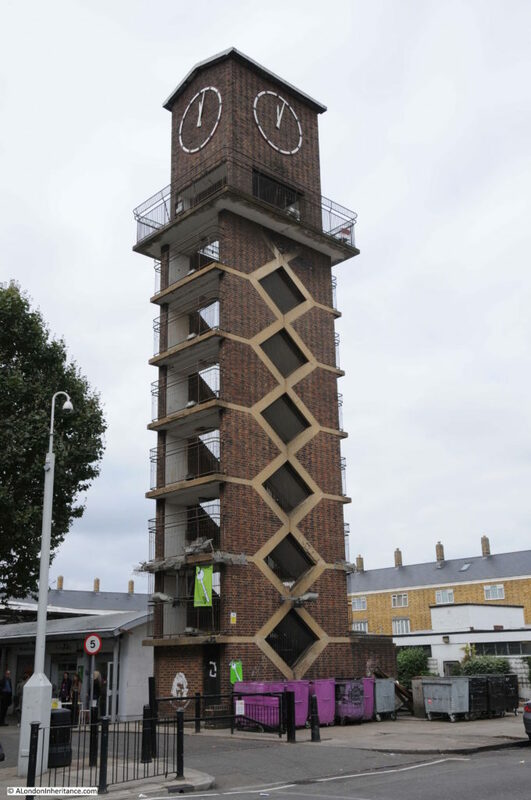 The Chrisp Street Market Clock Tower is starting to show its age. 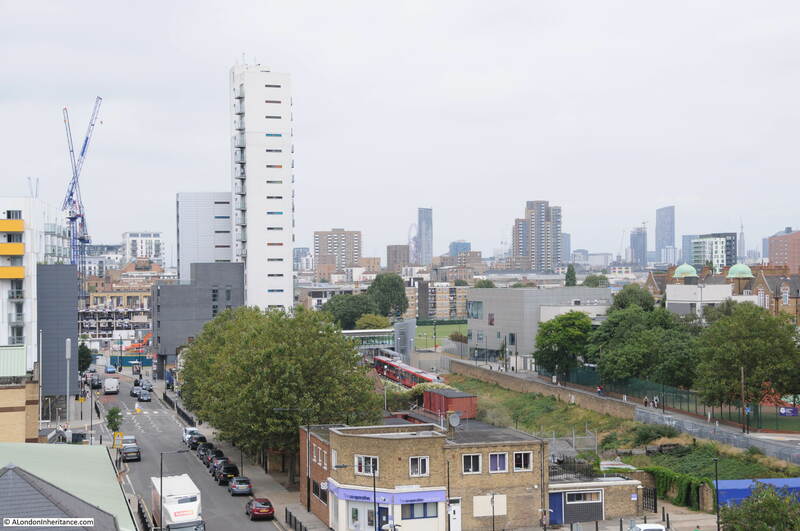 The height is very modest so it does not have the same views as other London viewing galleries, however as a symbol of the intentions of those behind the Lansbury Estate to create an integrated estate with housing and facilities for those who lived in the East End, it is perfect. 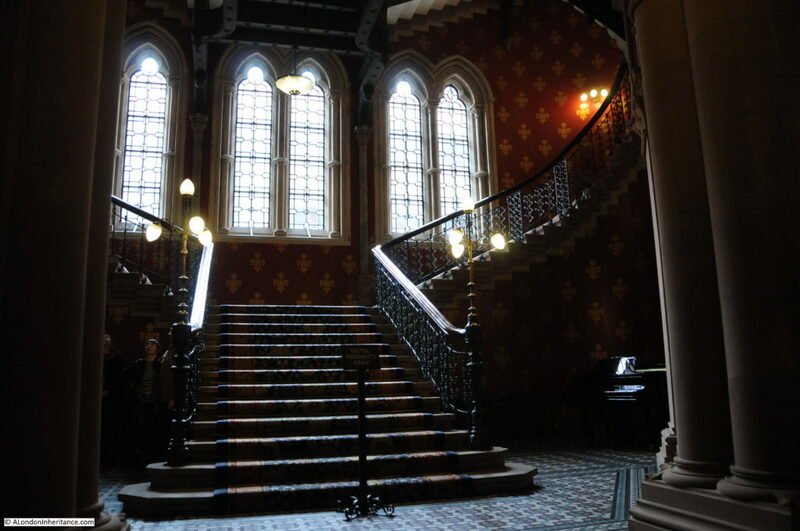 St. Pancras Chambers was the name of the Open House tour inside parts of the original St. Pancras hotel and station buildings. 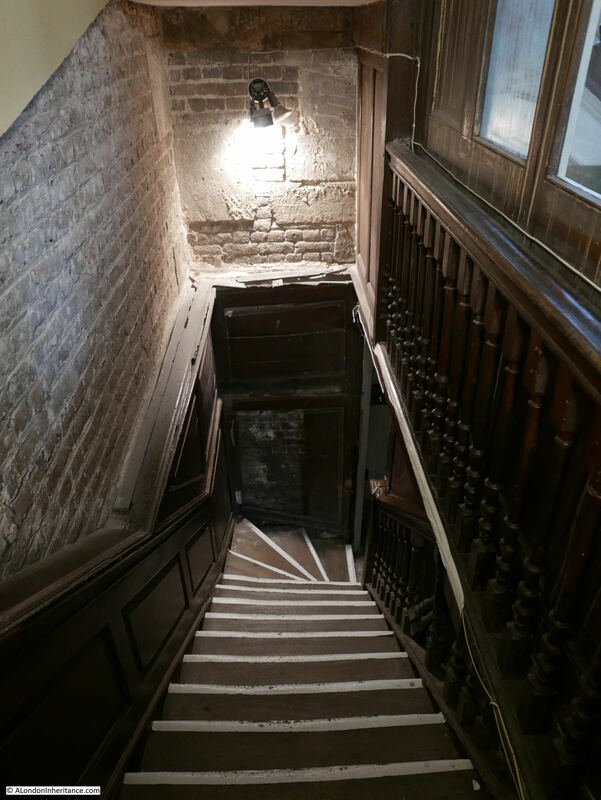 The tour provided a quick look at the Grand Staircase, the corridors and staircases along the length of the building and the rooms at the top of the clock tower. 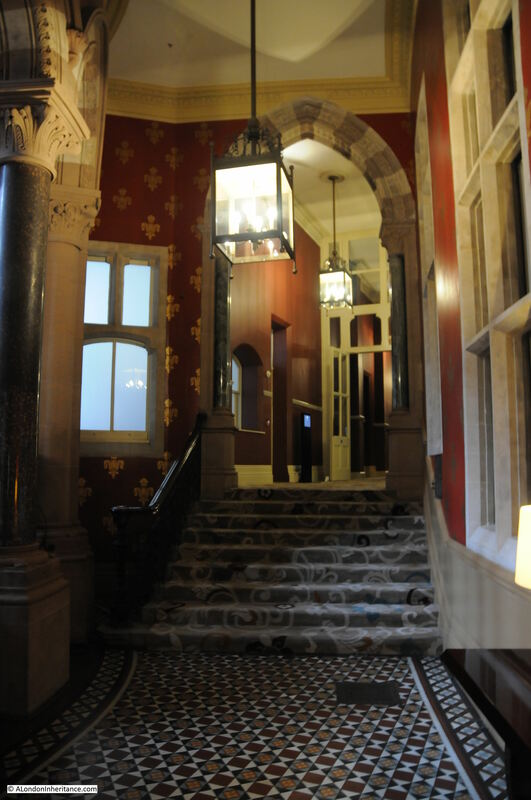 The majority of the main building is now a hotel and the rooms in the Clock Tower are private apartments. 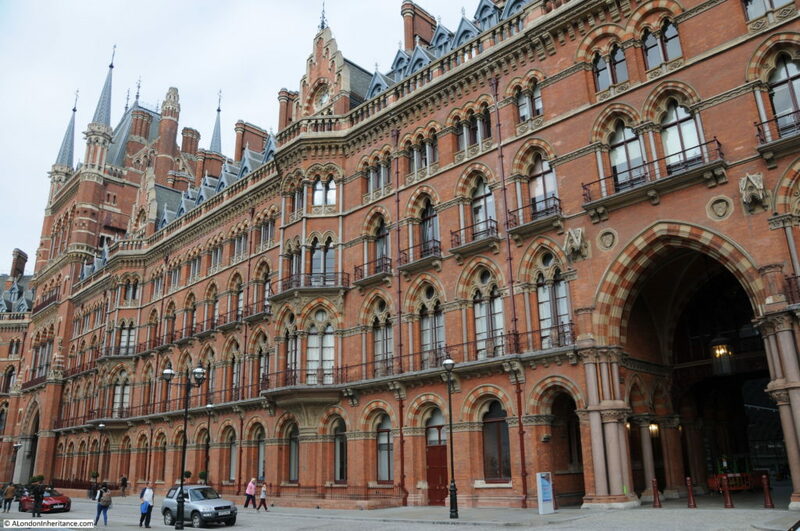 The building was designed by Sir George Gilbert Scott and built between 1868 -76 and opened as the Midland Grand Hotel. 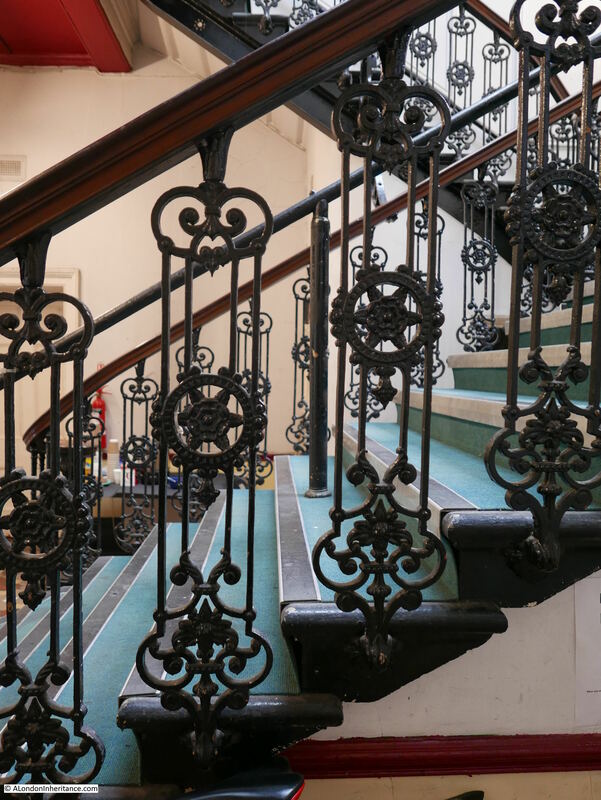 Both the exterior and interior of the hotel was built to impress, to demonstrate the strength and magnificence of the Midland Railway Company in the new age of the railway. 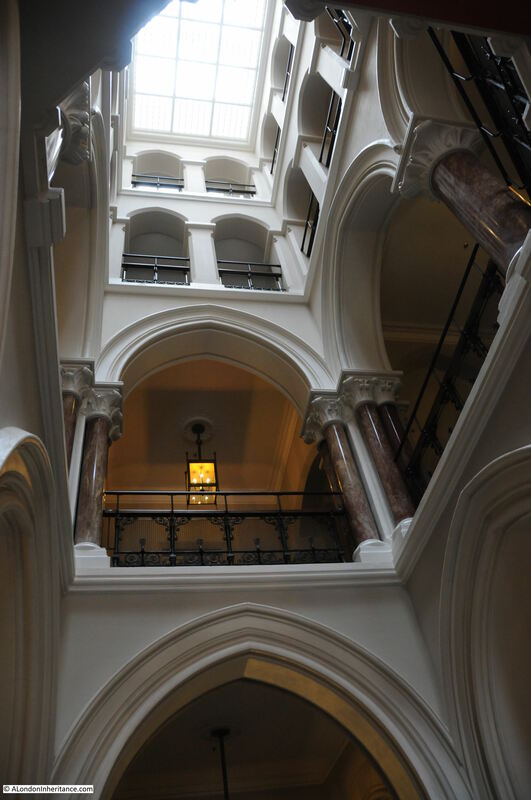 Built in the Victorian Gothic Revival style, using materials sourced mainly from across the midlands, the style of the building is very similar to Scott’s earlier work with the Albert Memorial. 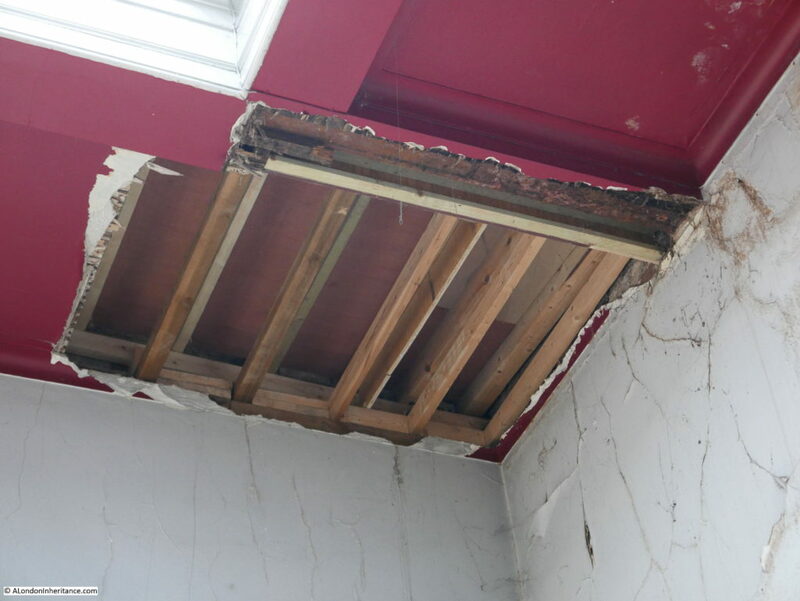 Despite the apparent extravagance, costs were tight and some features were not included in the final build. 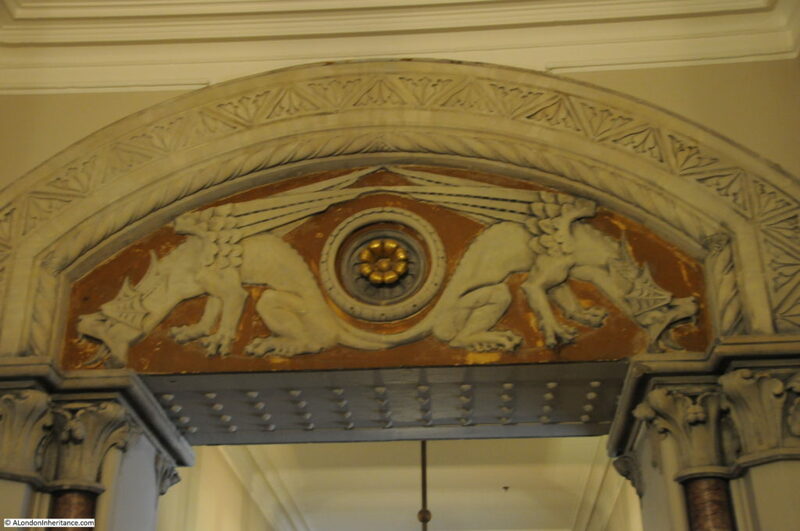 Look to either side of the top of the entrance archway in the photo below. There is a space on either side of the top of the arch for a statue. 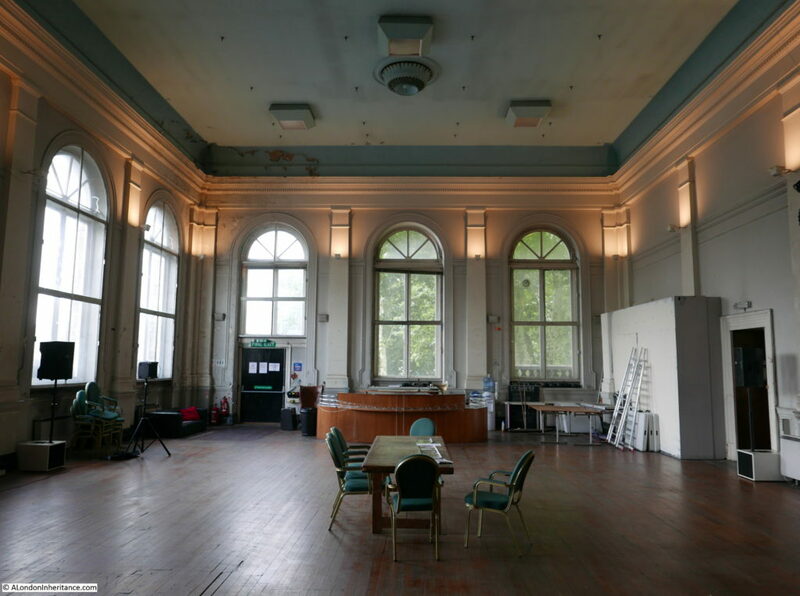 There are a number of these empty positions across the buildings. Although planned, they were not included due to cost. 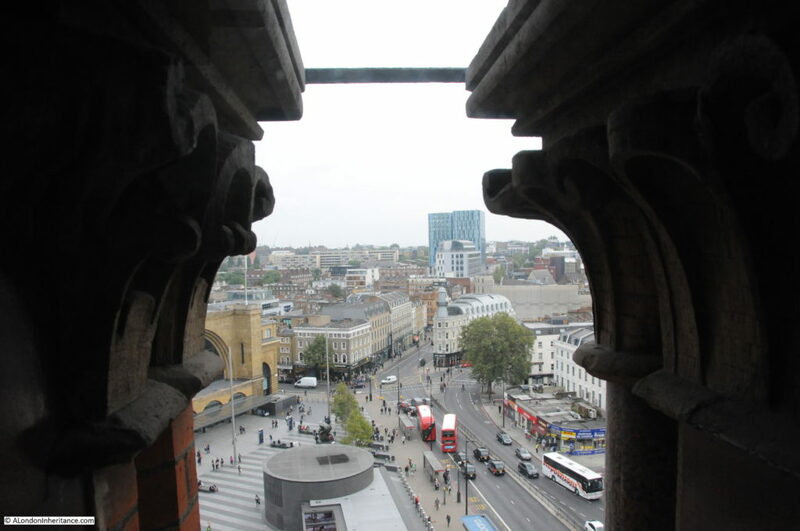 View of the Clock Tower, the rooms we would climb to are just below the clock. 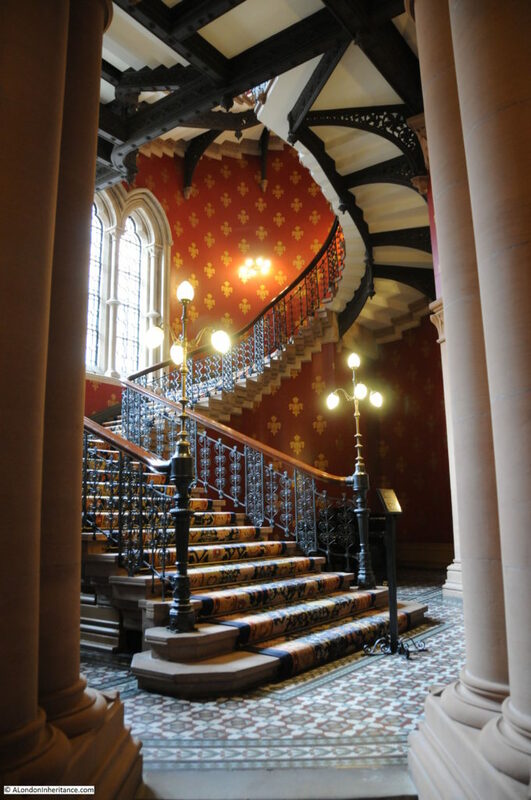 The first stop on the tour was at the base of the Grand Staircase. 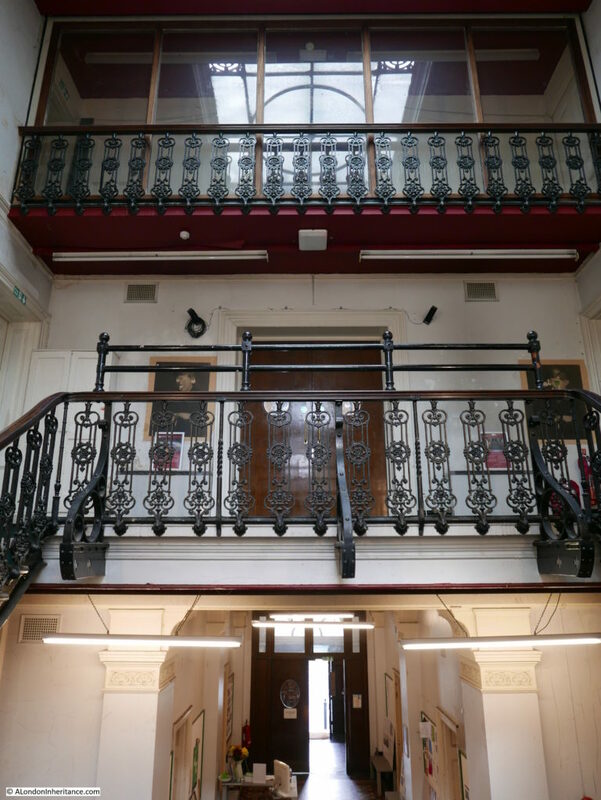 This has been fully renovated as part of the renovation of the whole building and now provides a view of what it must have looked like when the building opened. 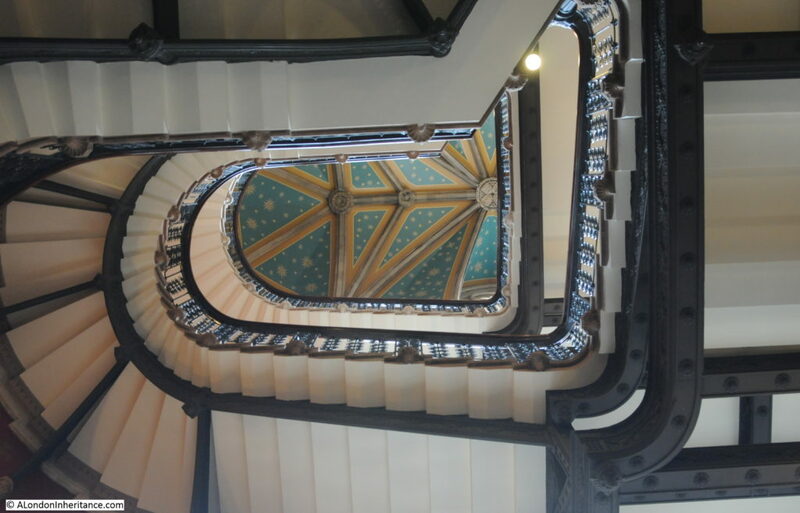 Looking up the staircase. 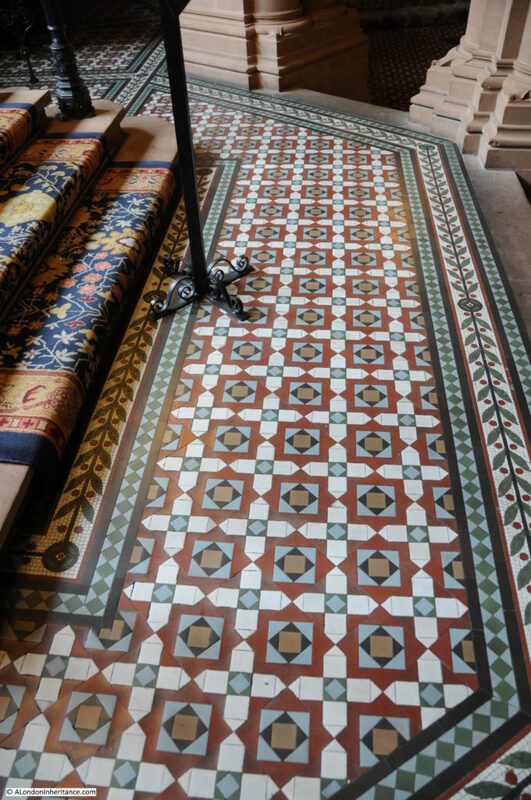 The restoration of the Gothic Revival style of the staircase comes together through the floor tiles, carpets, wallpaper, lighting and the architecture of the windows and staircase. 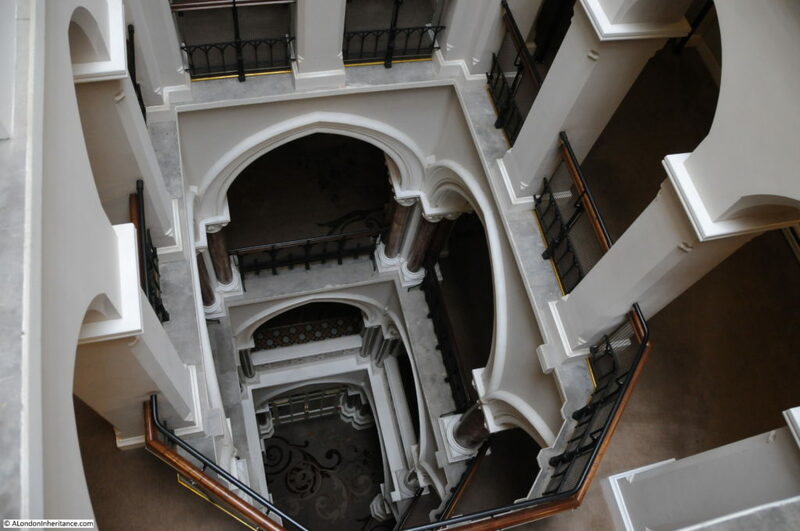 Corridors running from the Grand Staircase. 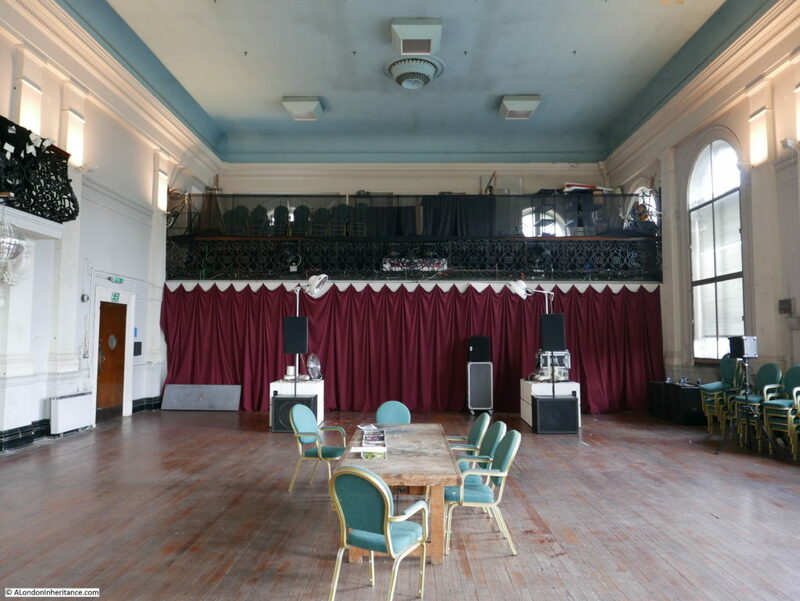 Rooms at the end of one corridor were apparently used as Board Rooms for the Midland Railway Company. 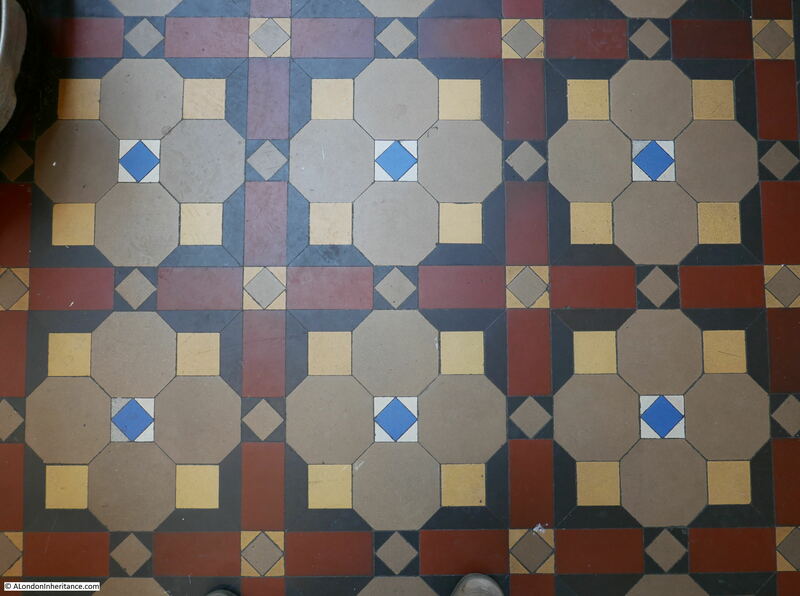 The decoration along this corridor is rather more ornate than the rest of the hotel corridors. 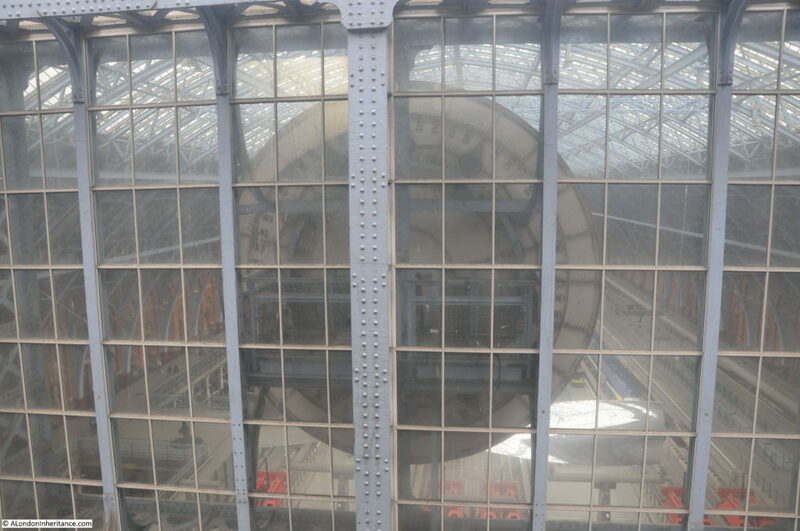 Walking up the stairs provides intriguing views of the station, including the following view at the rear of the station clock. Along some of the corridors are these small doors above the larger doors for the hotel rooms. 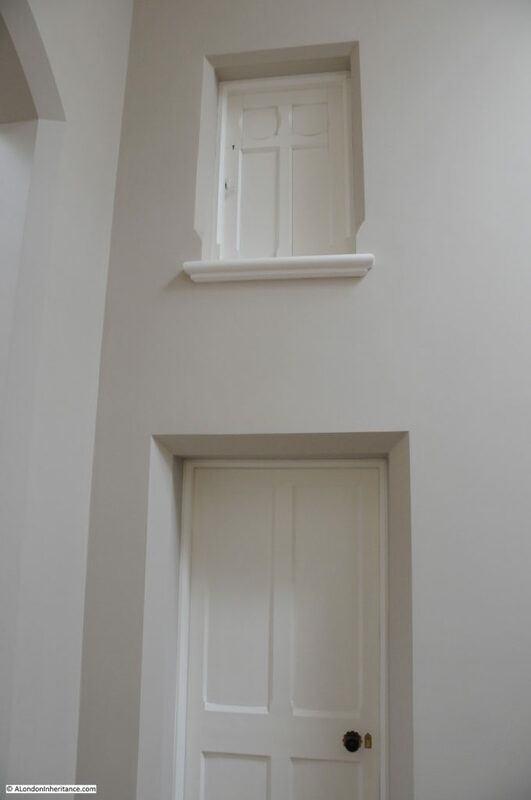 Apparently the smaller doors provided access to sleeping areas for the hotel staff. Some interesting views from the clock tower. This one looking along Euston Road towards Pentonville Road with part of Kings Cross station on the left. 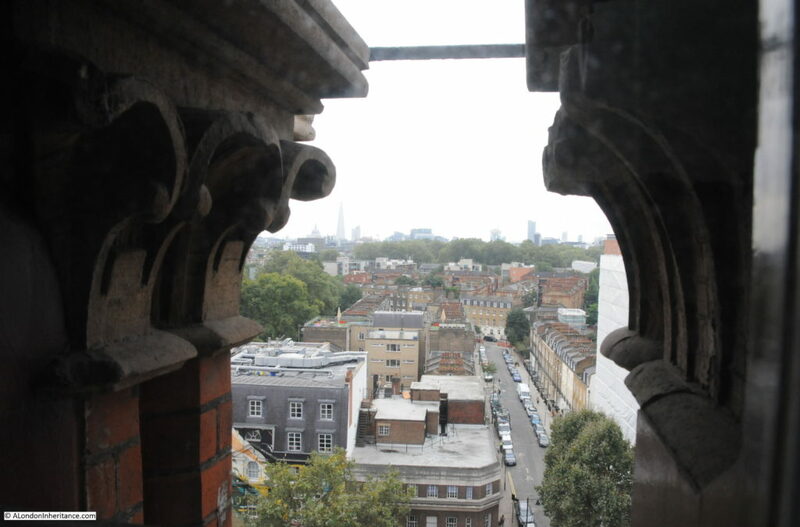 Looking south from the clock tower with the Shard in the distance. 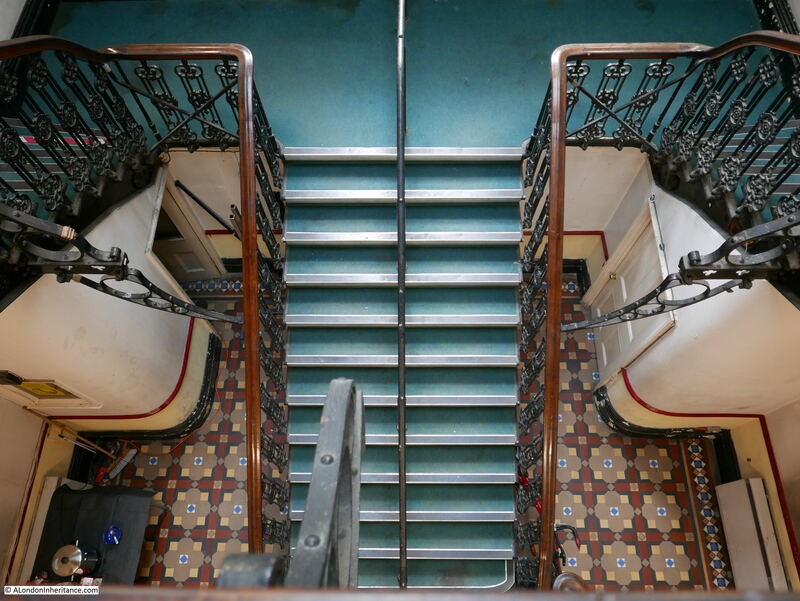 As the majority of the building is now either the hotel or private apartments, the tour was limited, however it did cover the main features of the building and provided a welcome insight into this wonderful building from the time when rail was the future of transport. 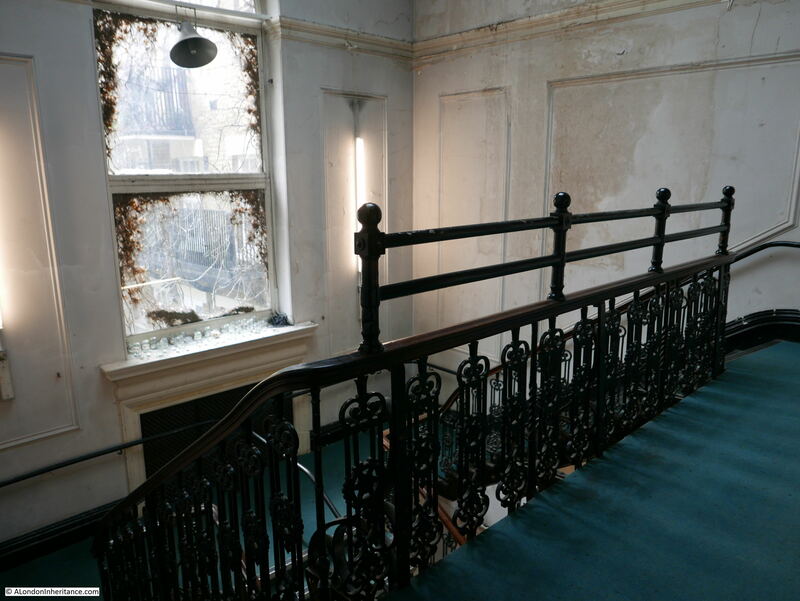 Despite the very ornate architecture, the facilities in the original hotel were rather basic with a limited number of shared bathroom facilities, no lifts etc. The hotel did start to decline in the early years of the 20th century and closed in 1935, then being used as offices for the LM&S railway company. 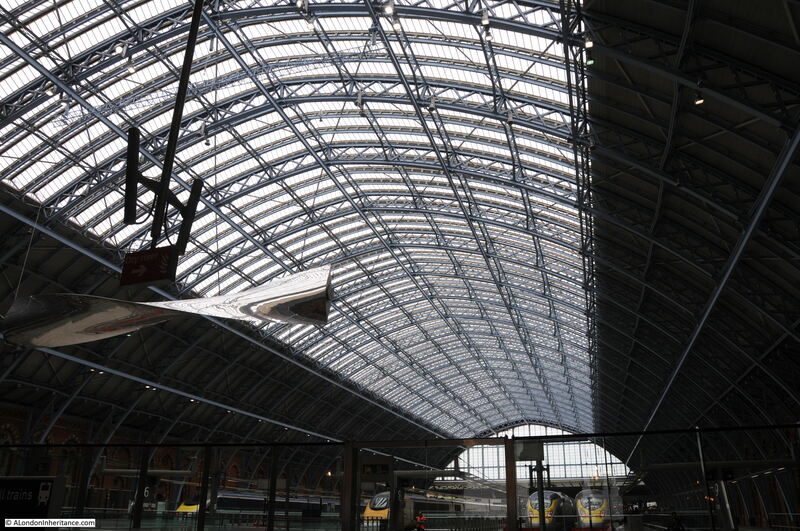 Wartime damage, changes in transport from rail to road and a general decline put the station at risk in the 1960s but a campaign by people including Niklaus Pevsner and poet John Betjeman saved the hotel and station buildings and the arrival of the high-speed trains to Europe via the Channel Tunnel along with growing national rail use led to the redevelopment and restoration of the station and hotel which both now look spectacular. After the tour I walked to the station area. 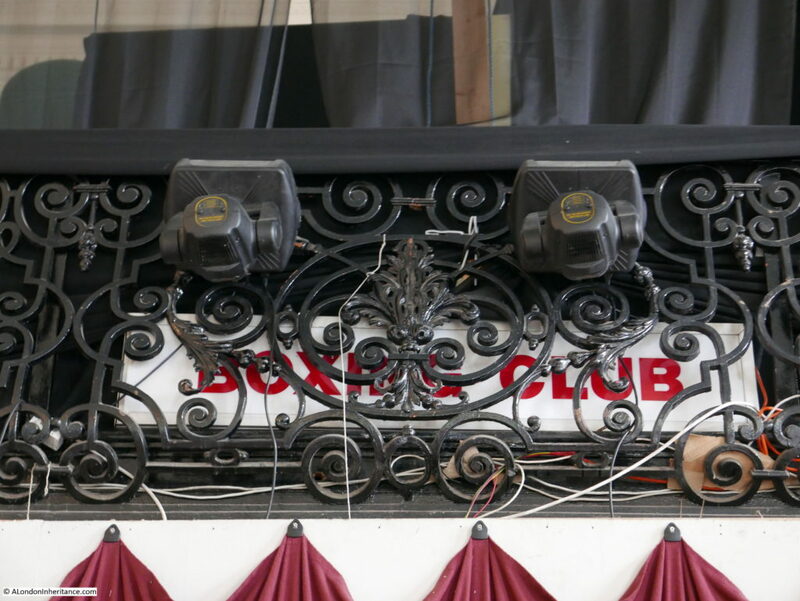 Here is the front of the clock that was visible from behind in the above photos. 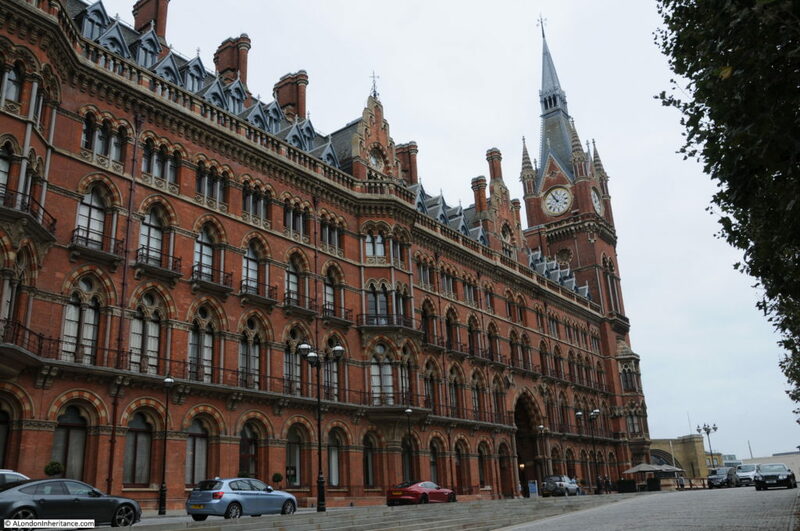 The hotel and station buildings are impressive on both the large and small-scale. 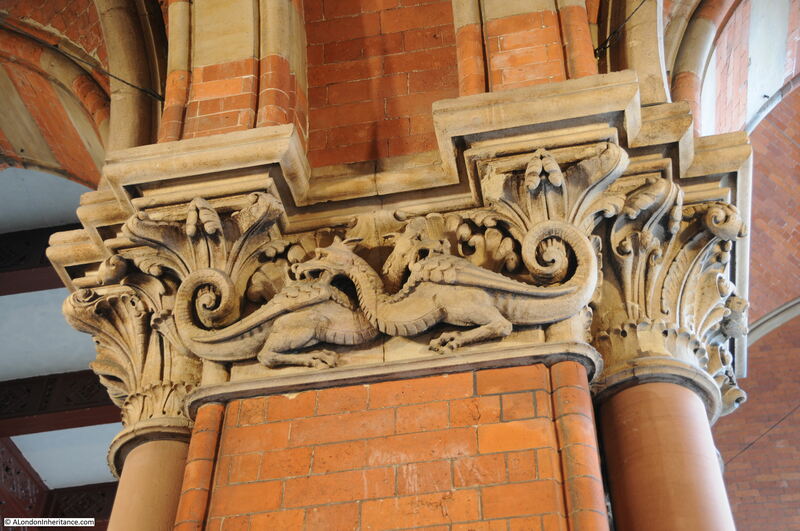 Viewing from a distance you can see the whole sweep of the hotel, or the length of the roof however there are so many small architectural features across the building including these ornate carvings at the top of pillars in one of the entrances. It was an all too brief visit to these two very different locations. Open House is a fantastic weekend of events which seems to be growing in scope every year. Hopefully I will have more time next year to visit more of the diverse range of locations available. 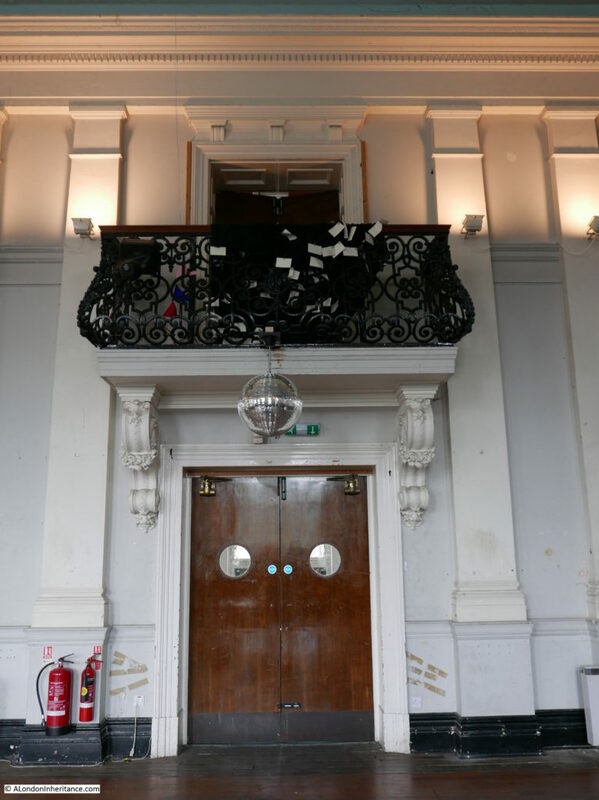 This entry was posted in London Buildings and tagged Chrisp Street Market, Open House, St. Pancras Station on September 25, 2016 by admin.